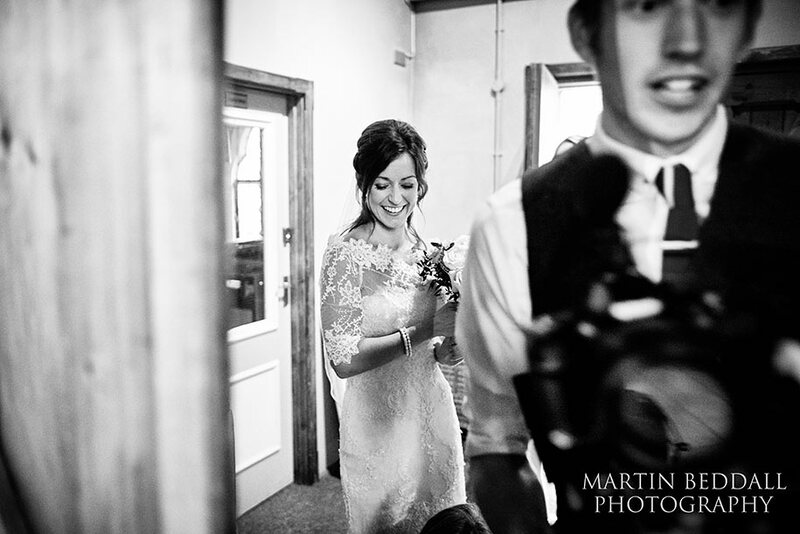 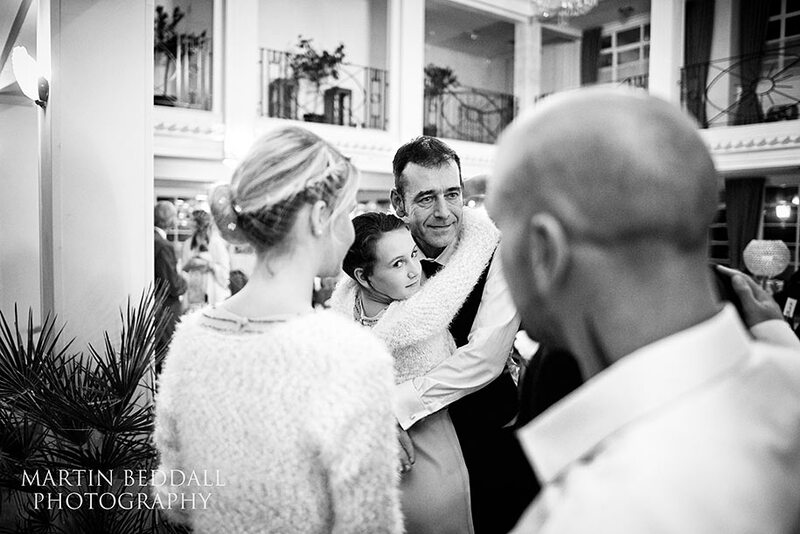 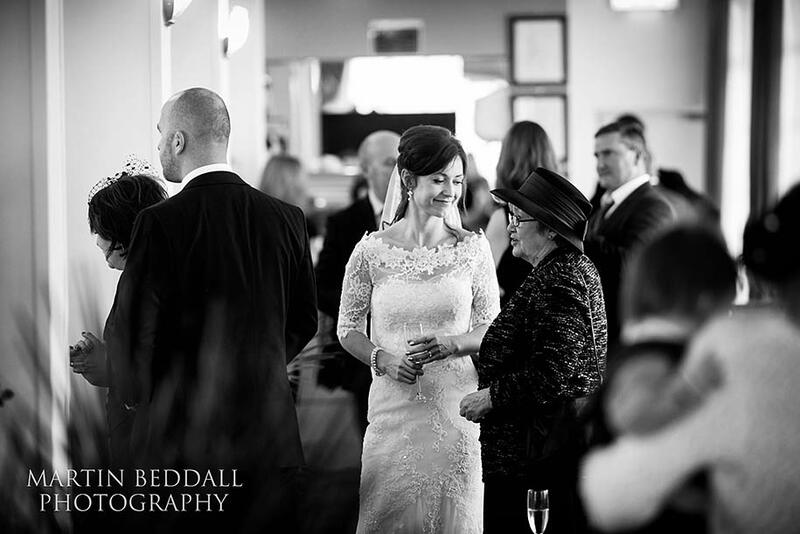 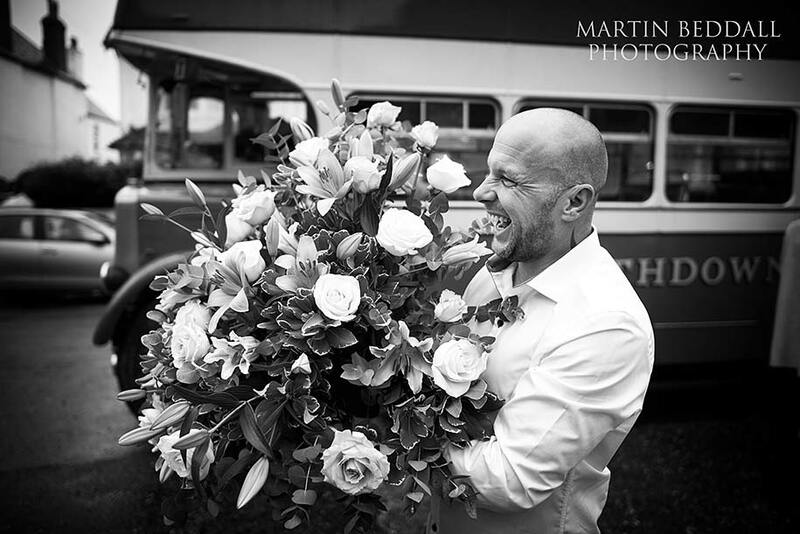 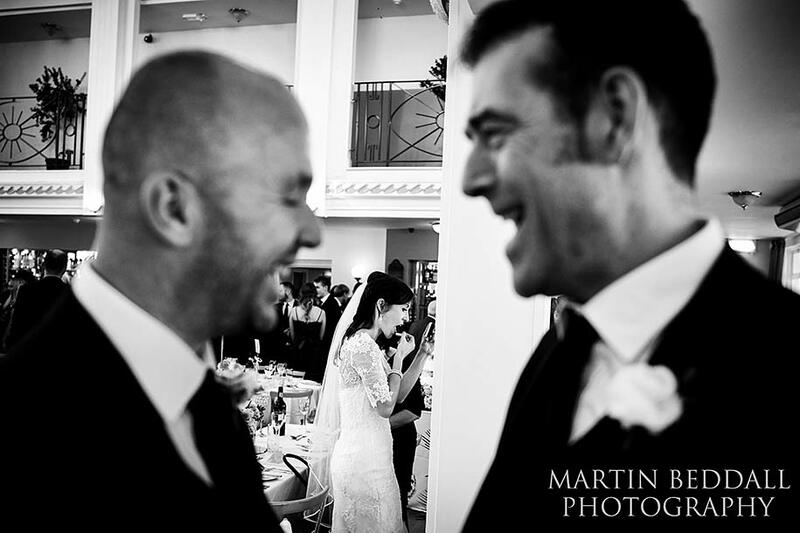 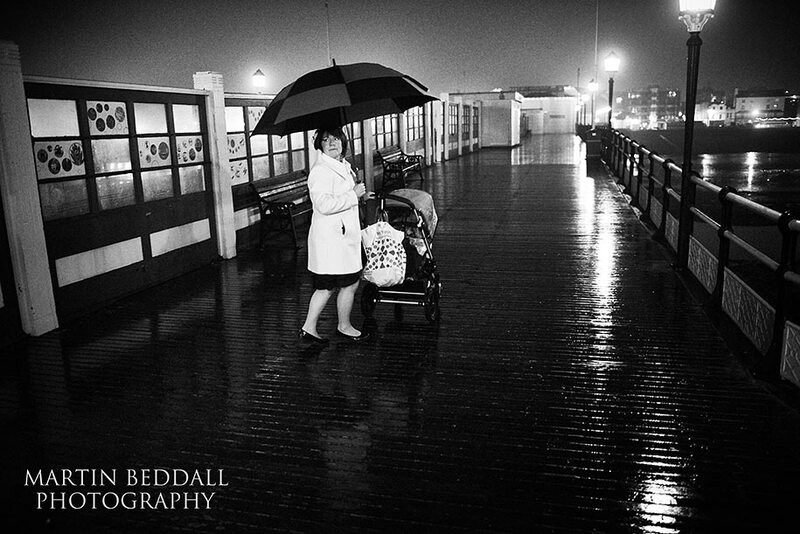 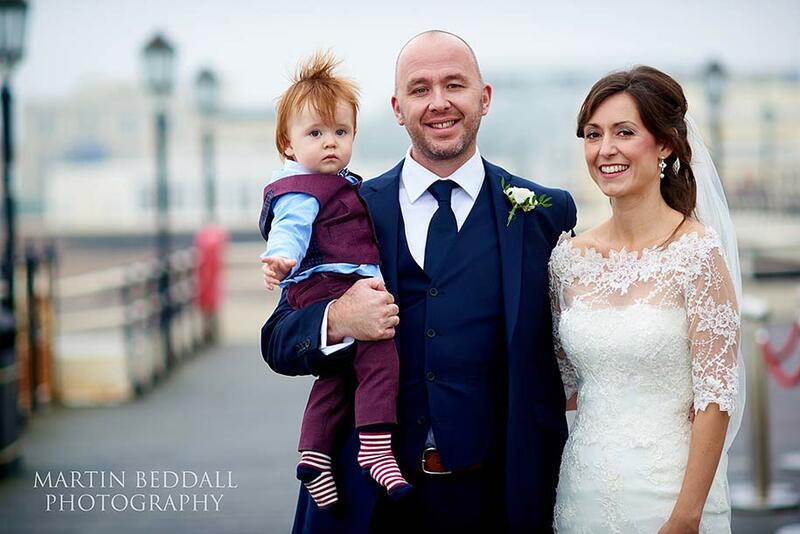 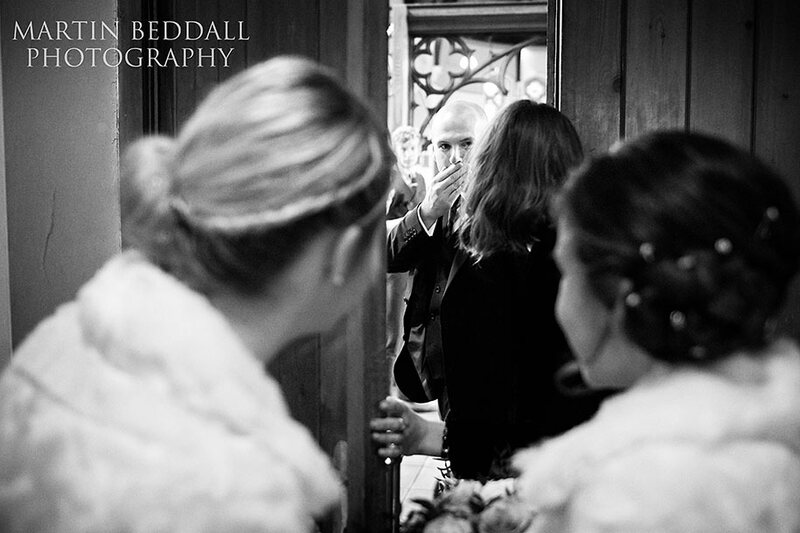 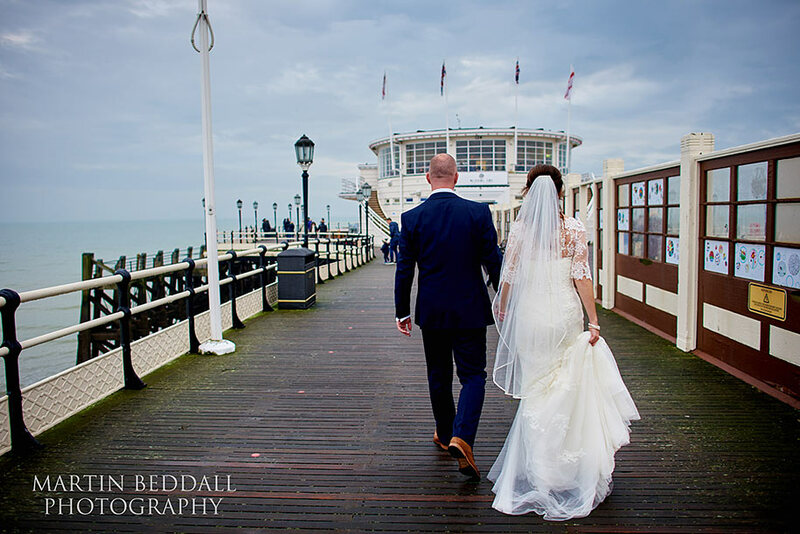 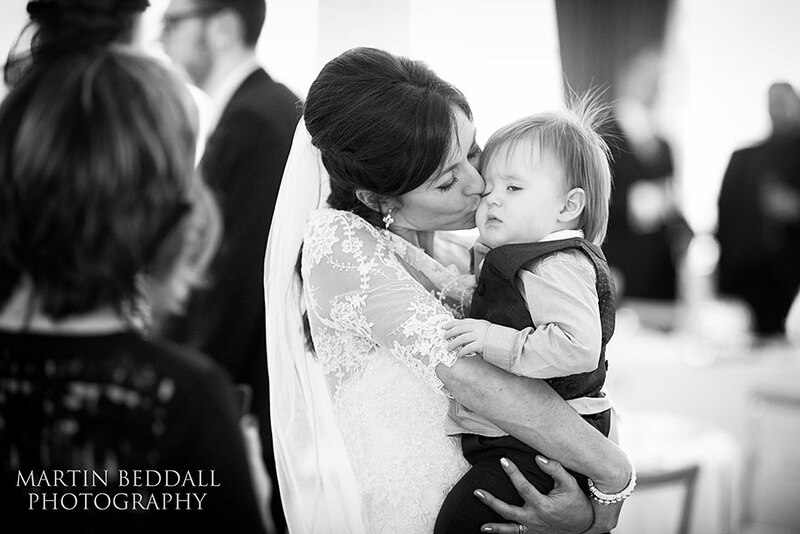 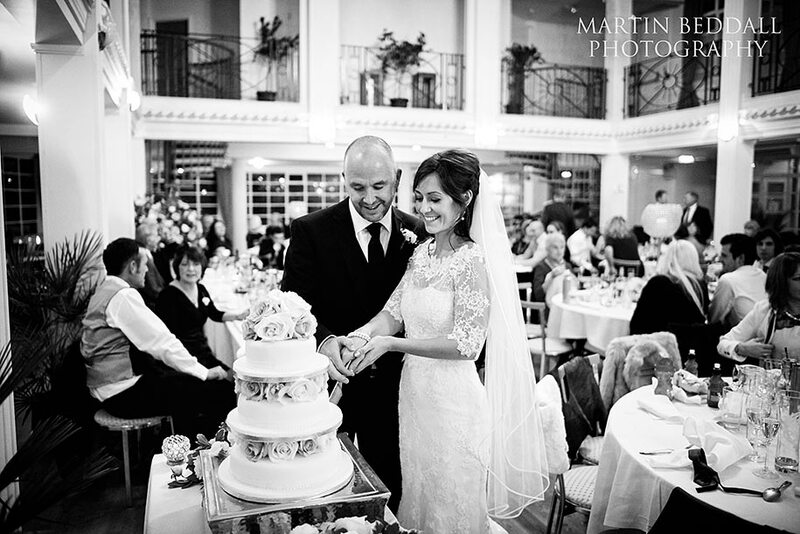 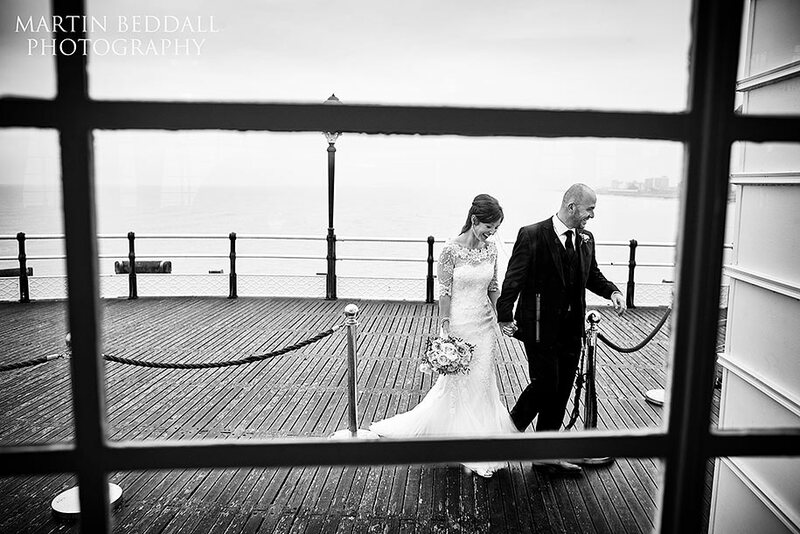 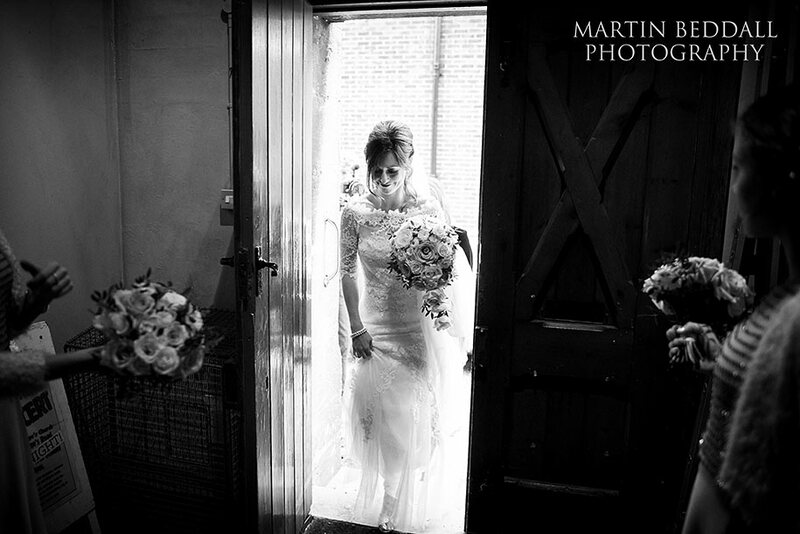 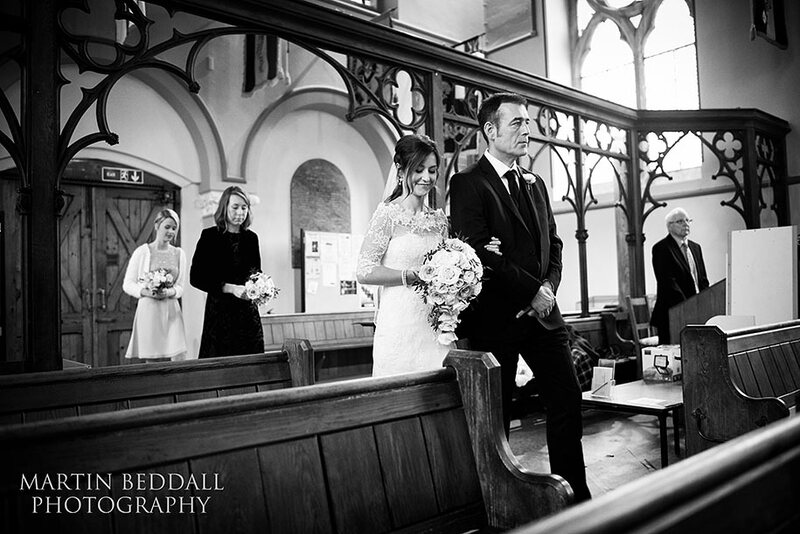 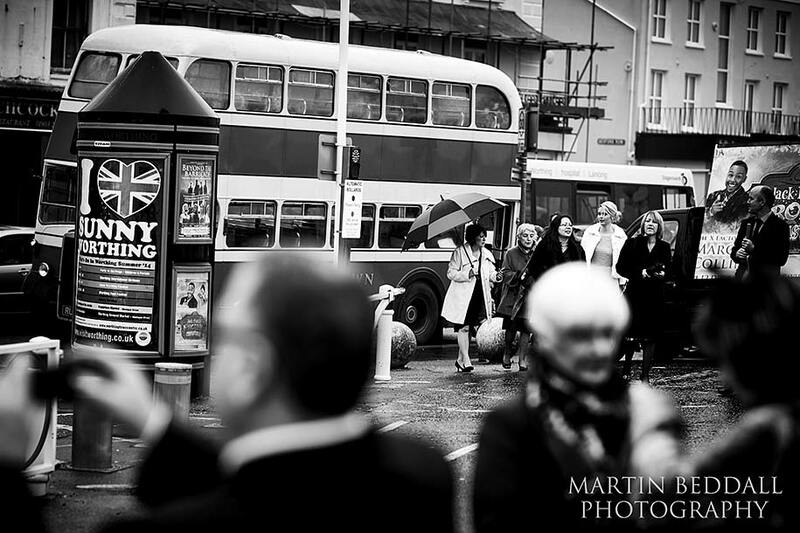 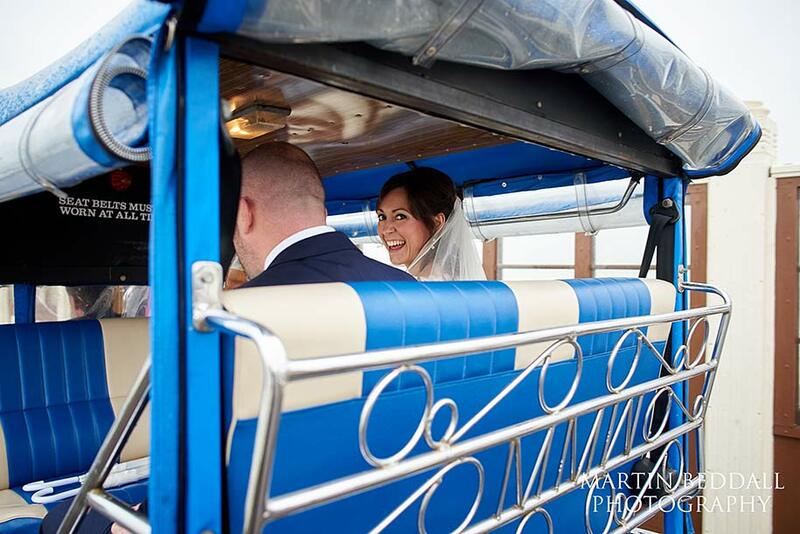 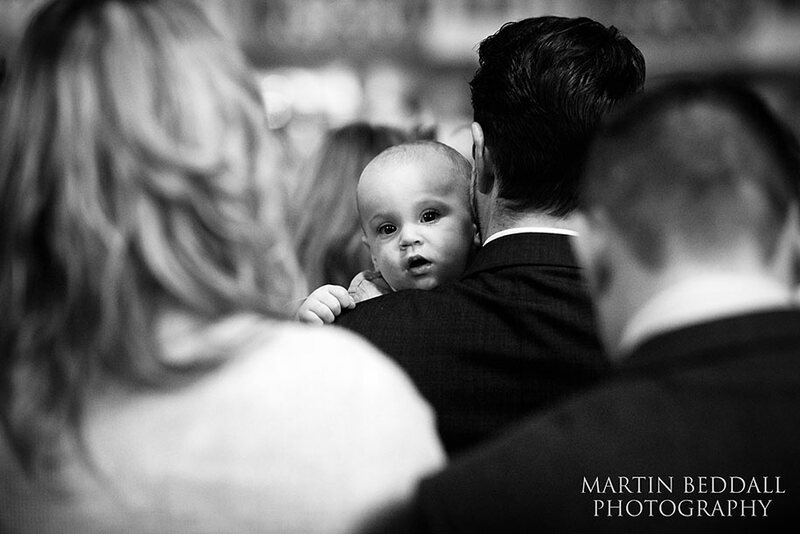 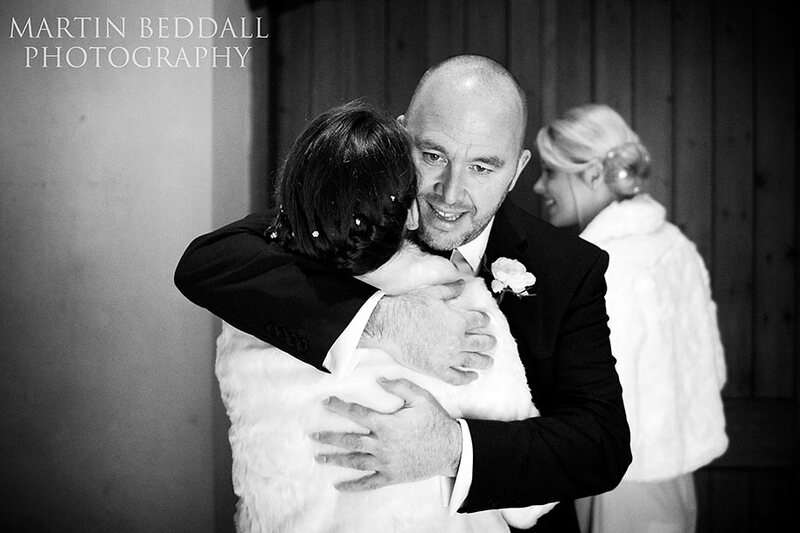 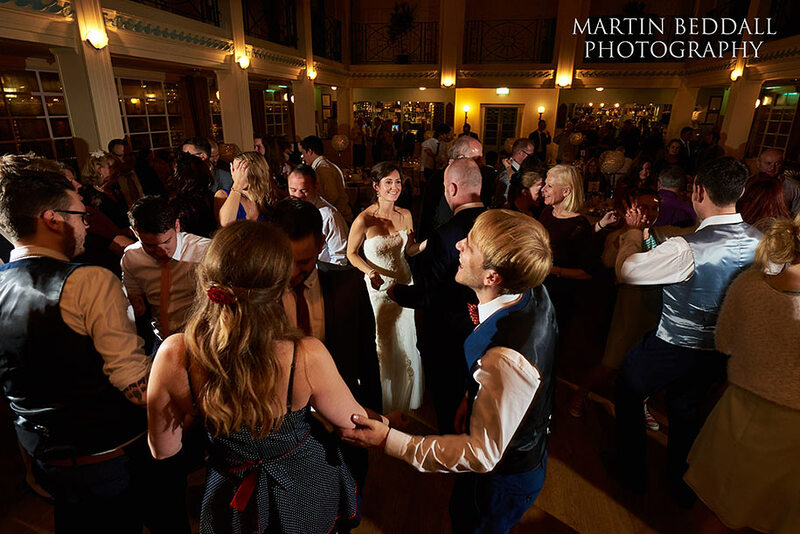 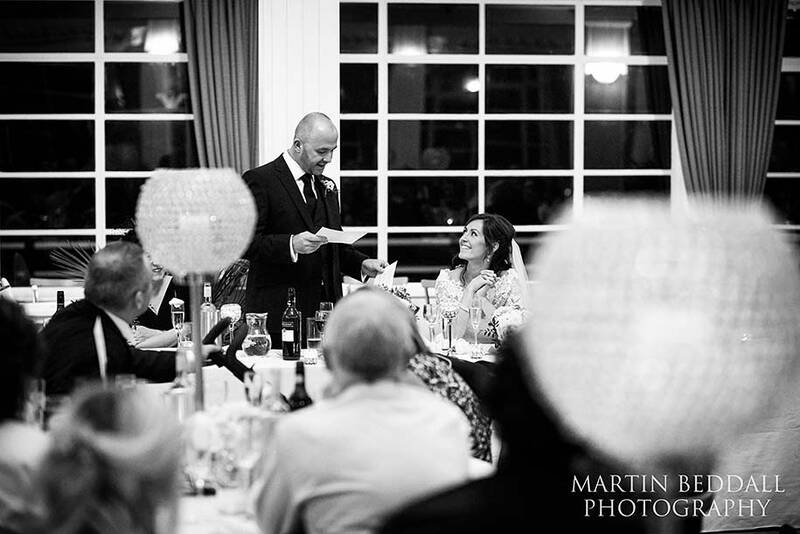 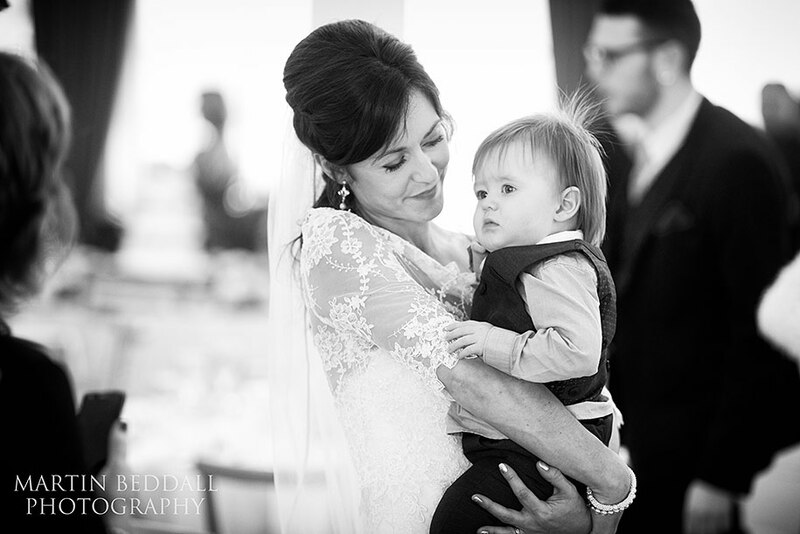 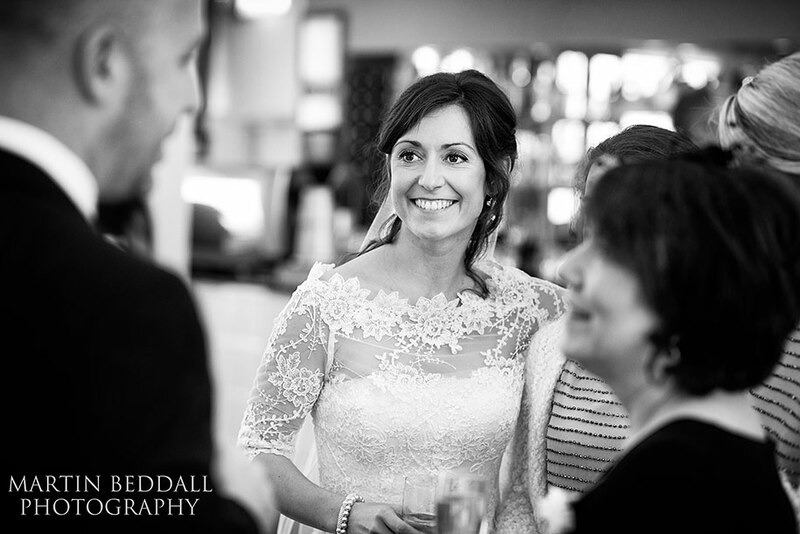 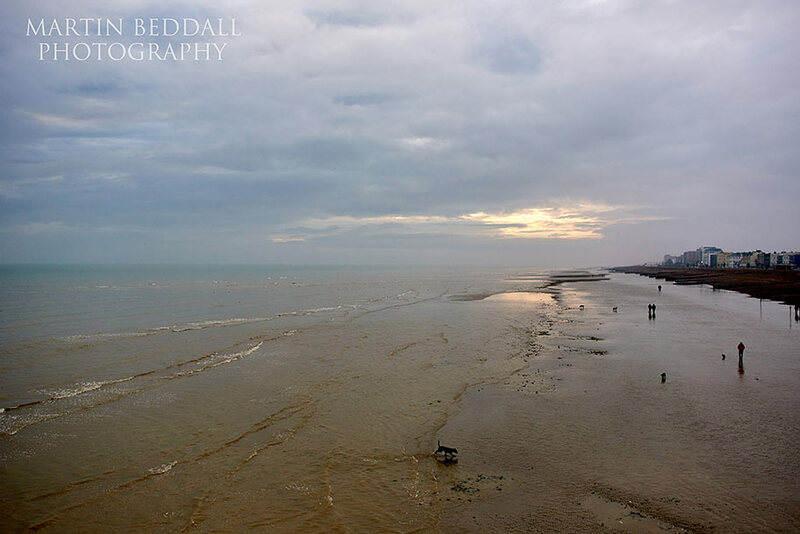 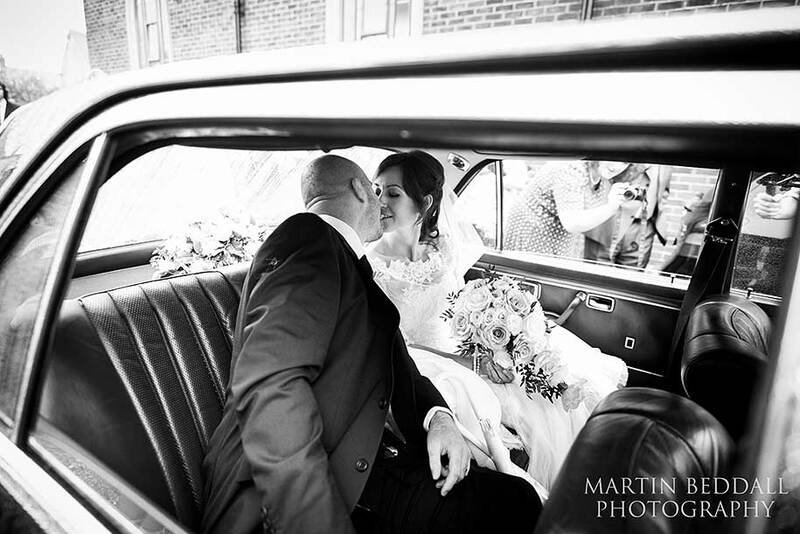 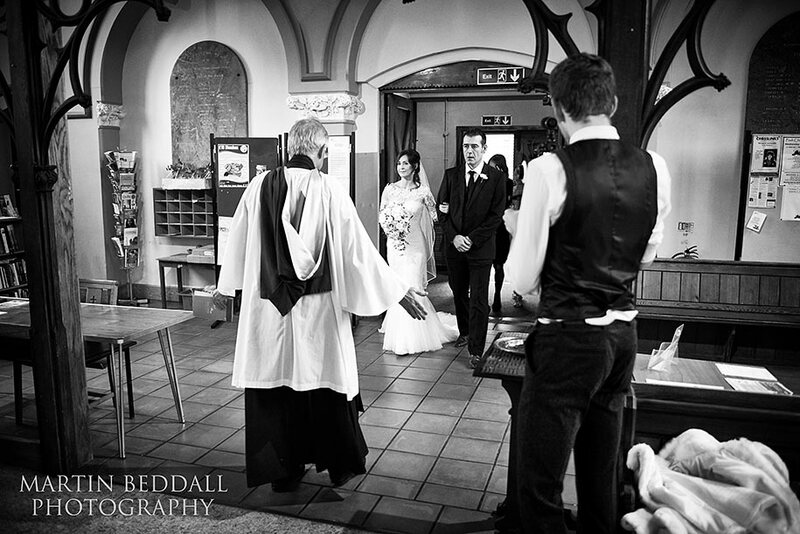 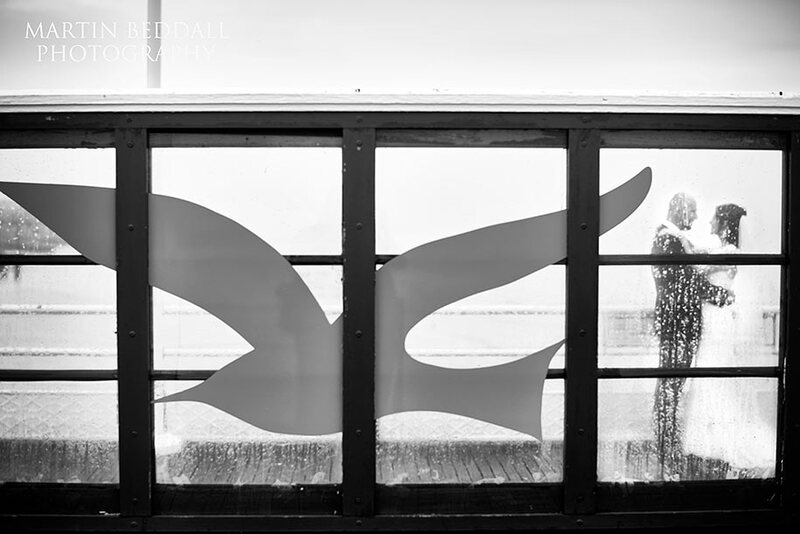 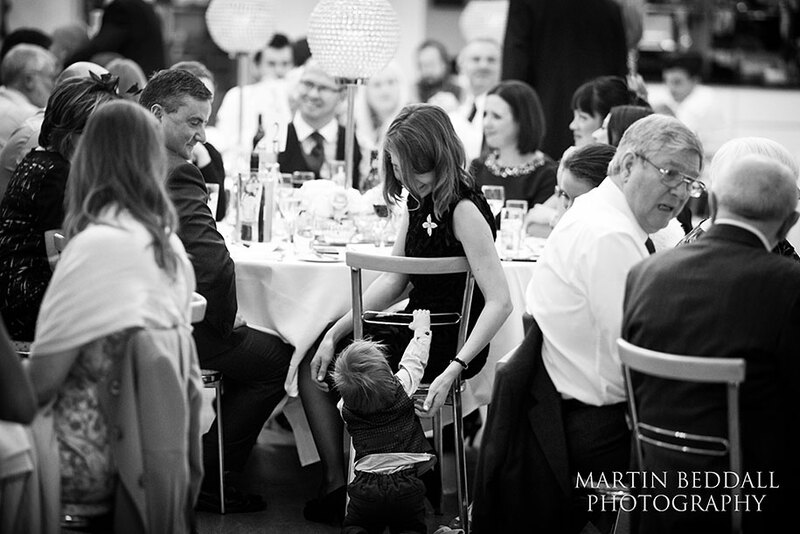 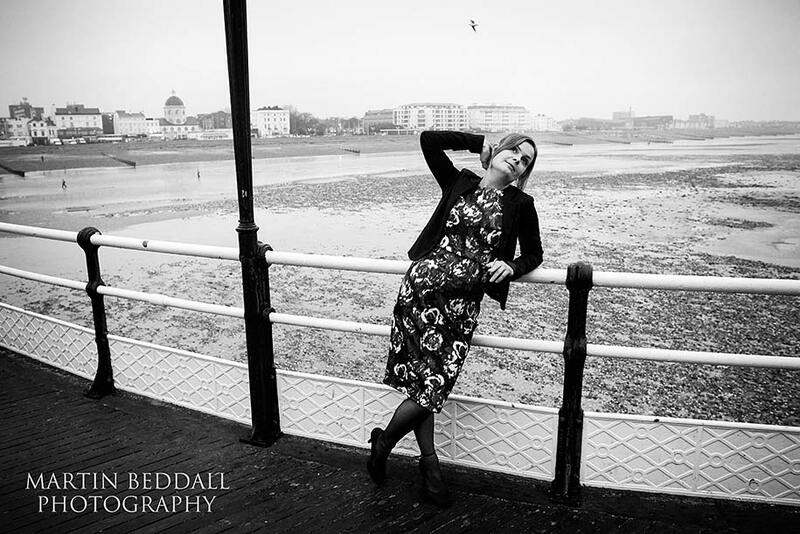 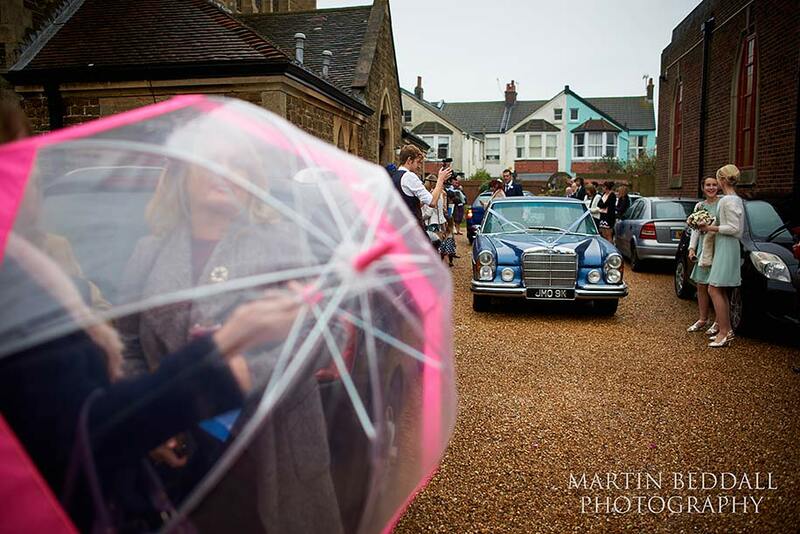 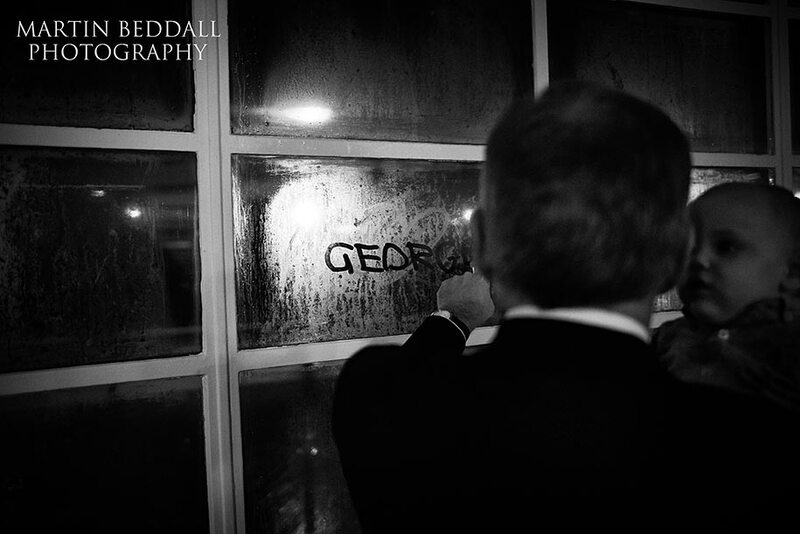 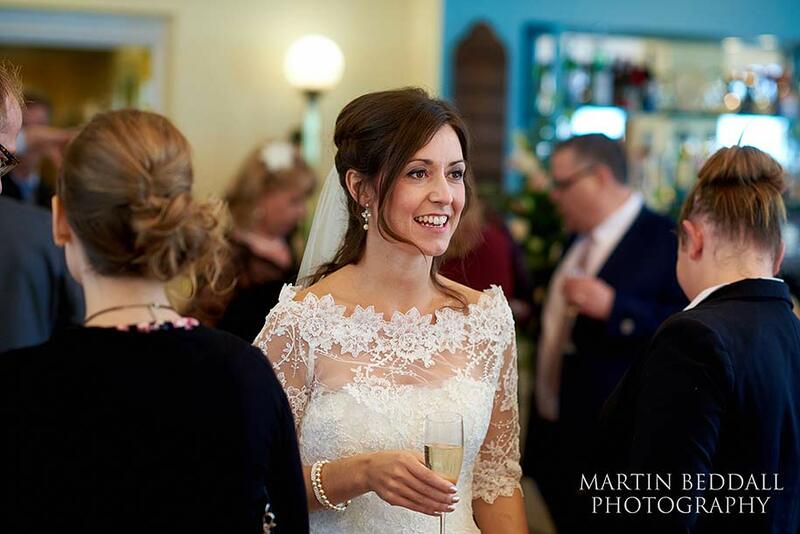 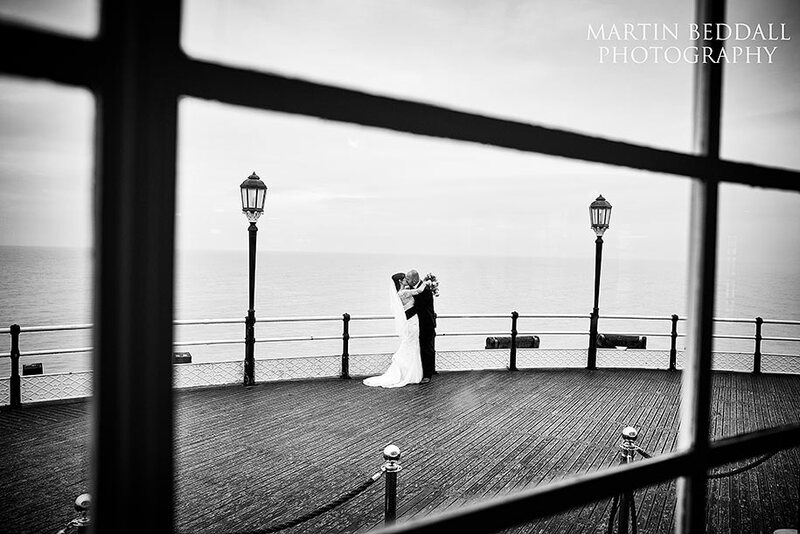 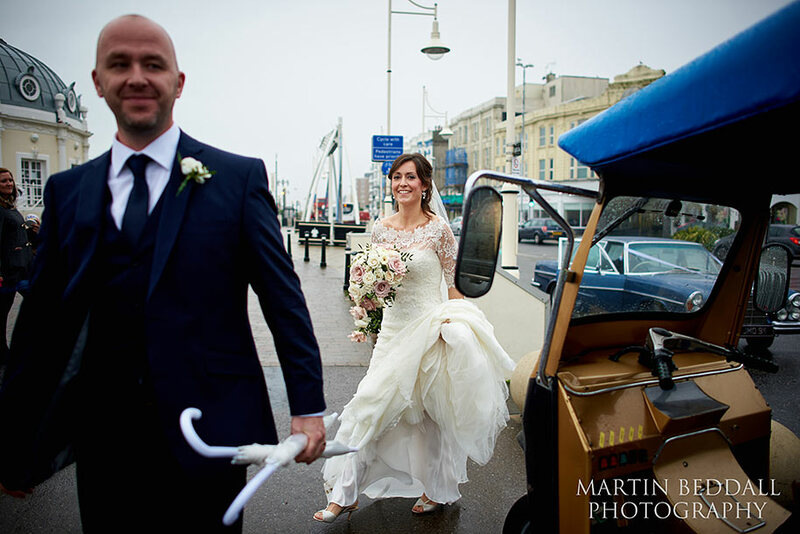 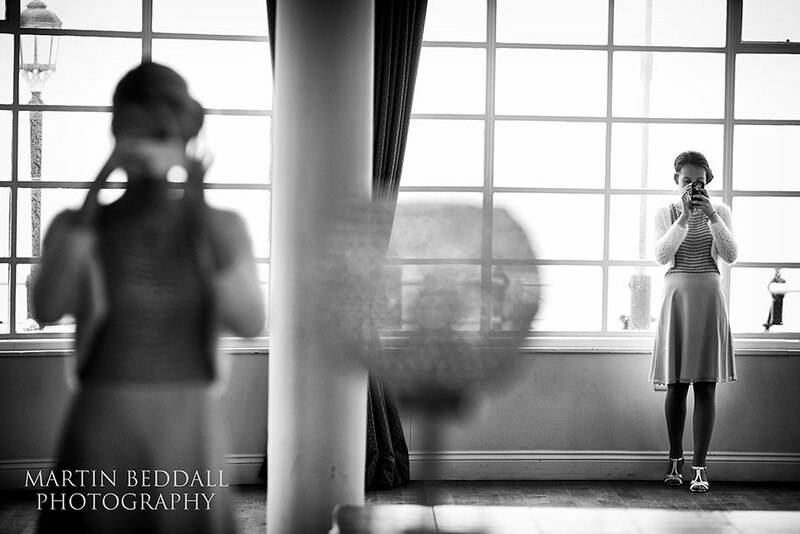 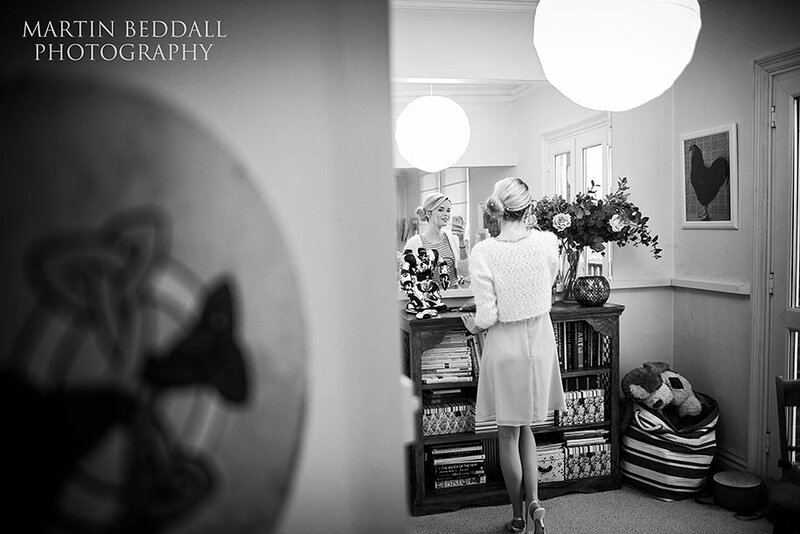 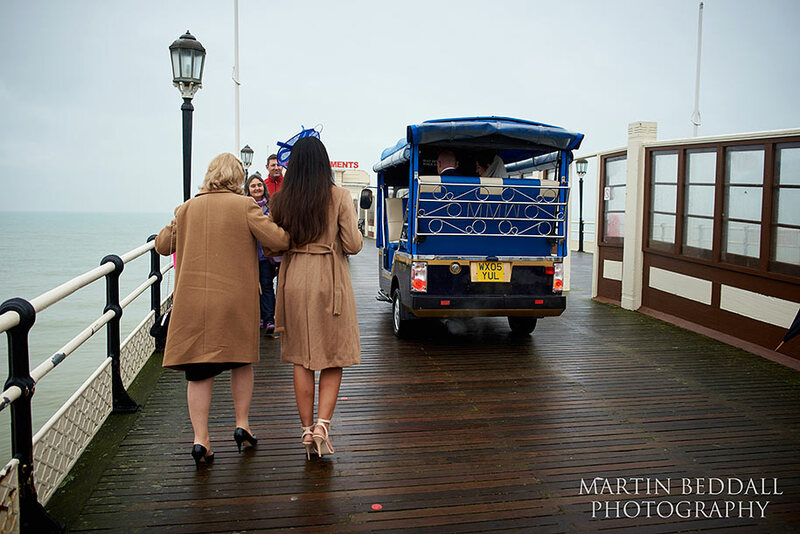 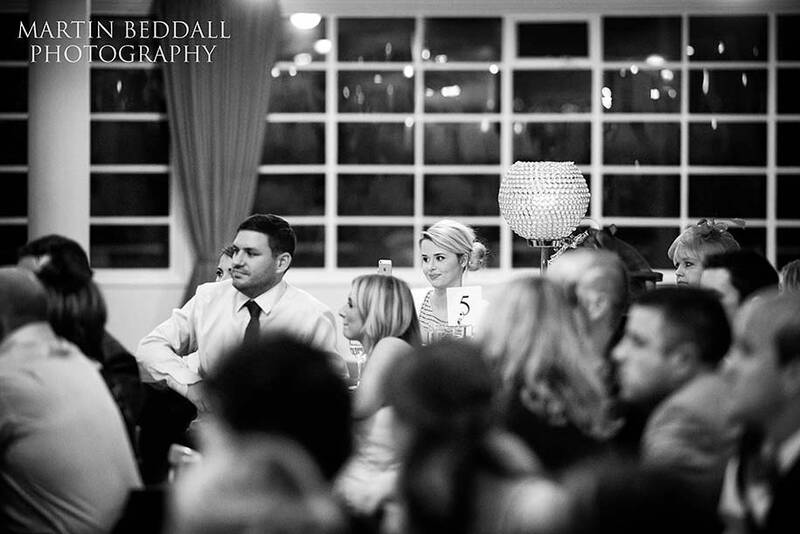 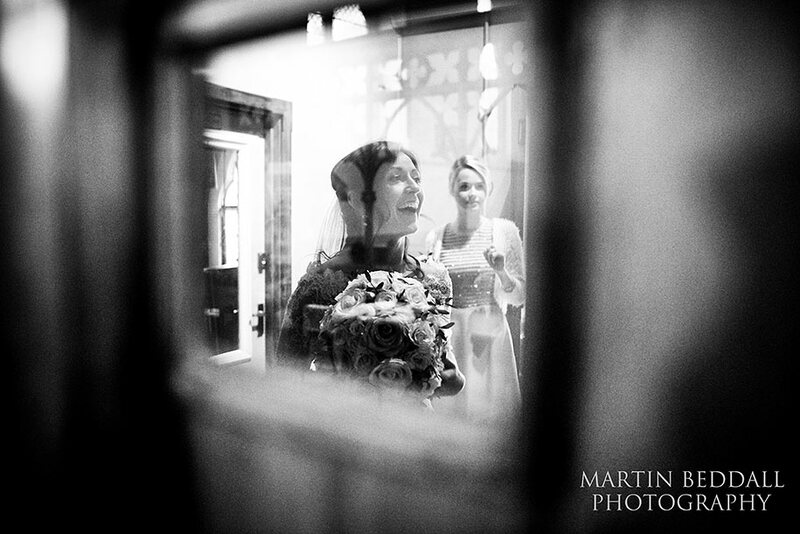 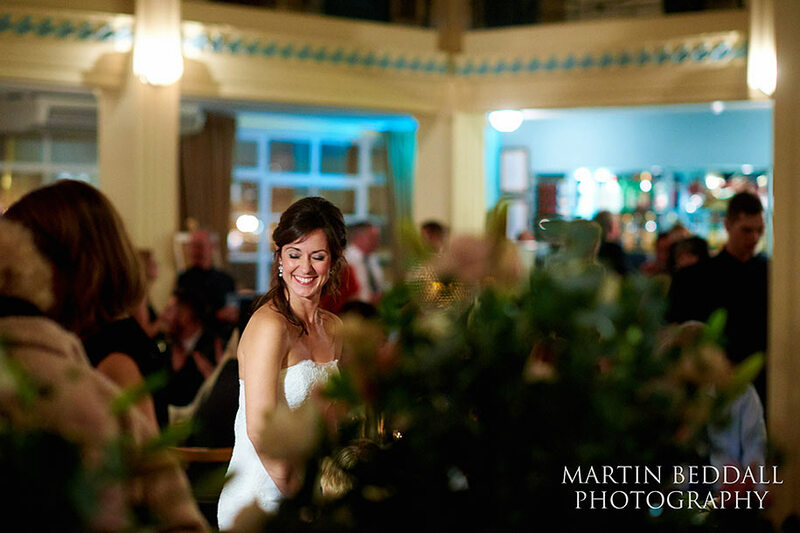 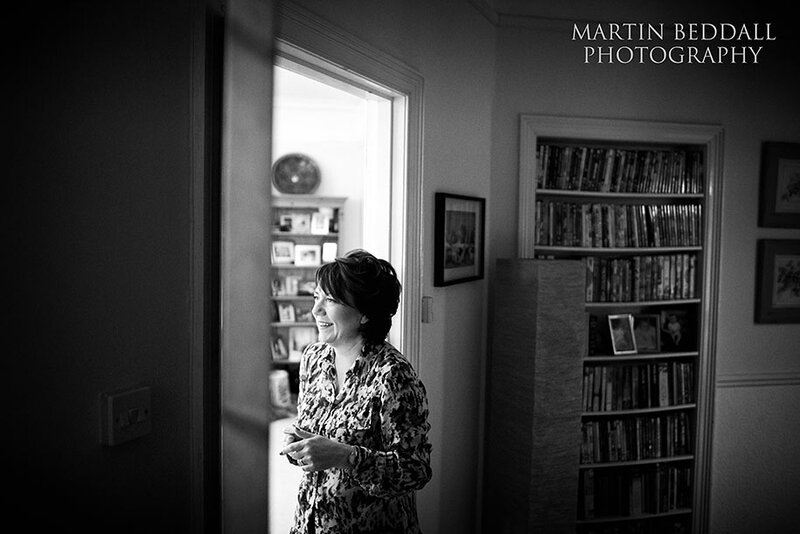 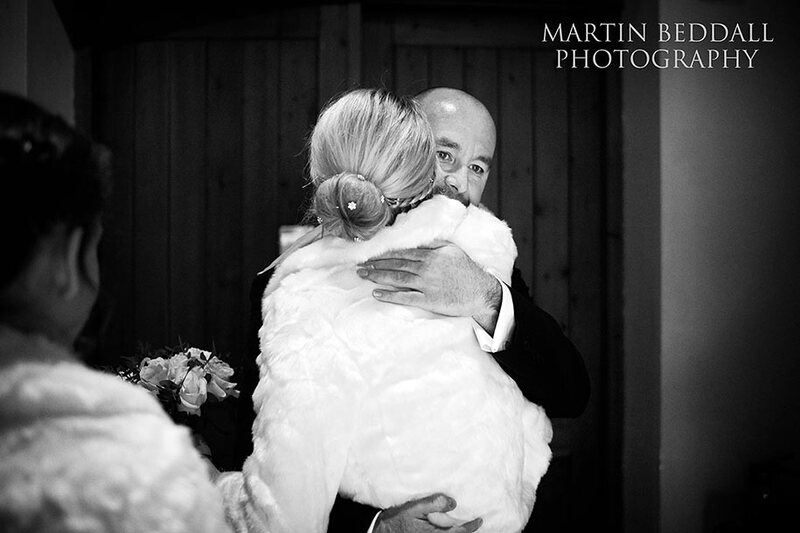 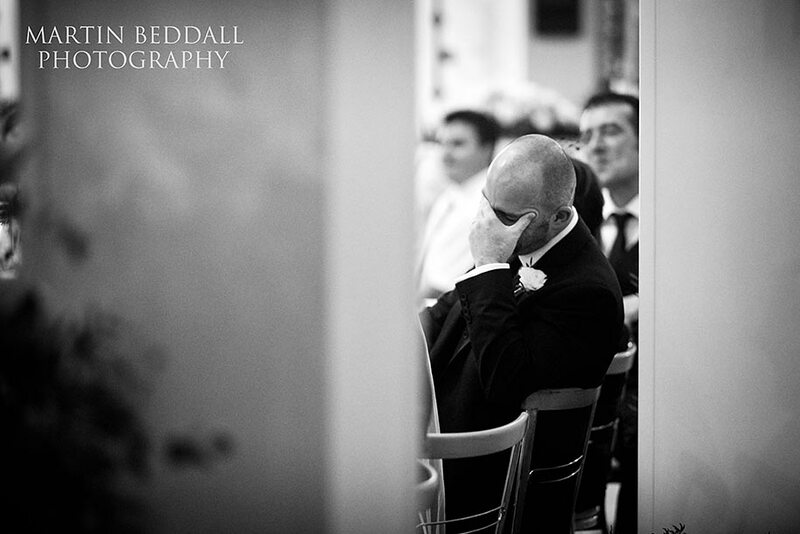 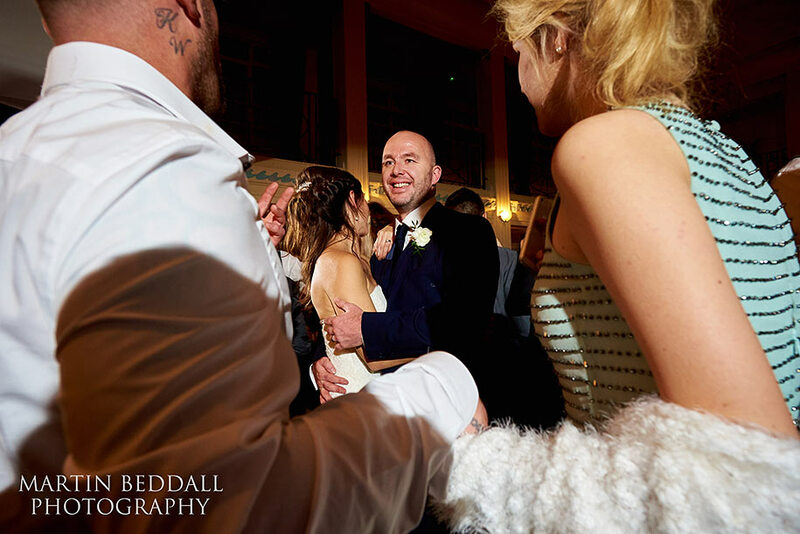 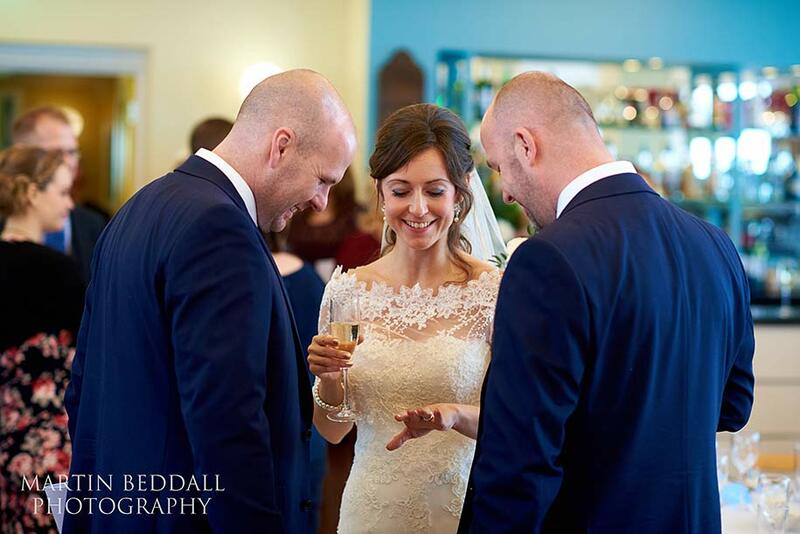 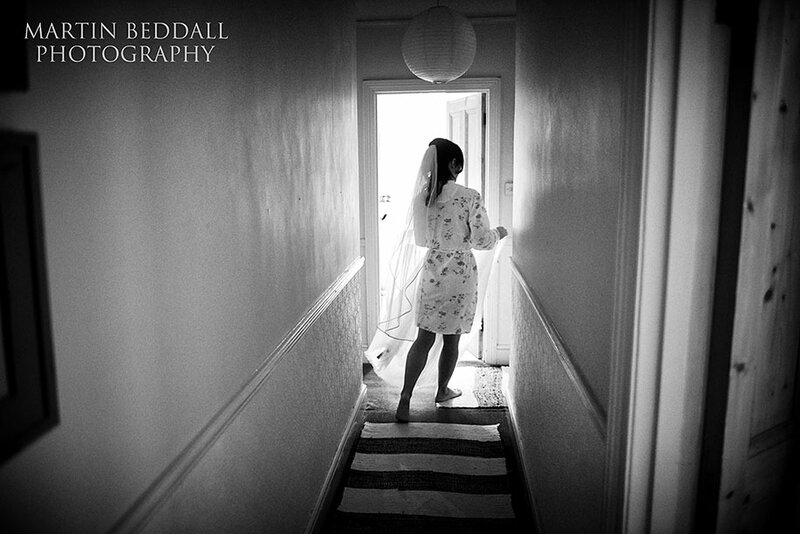 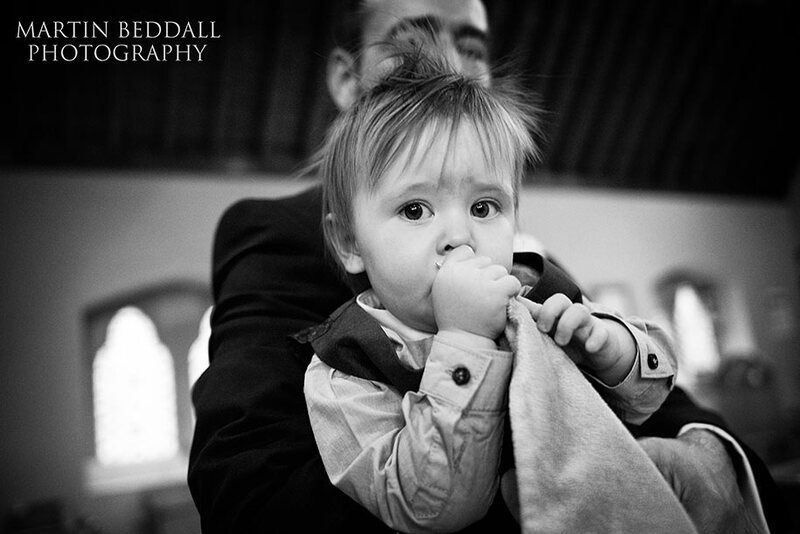 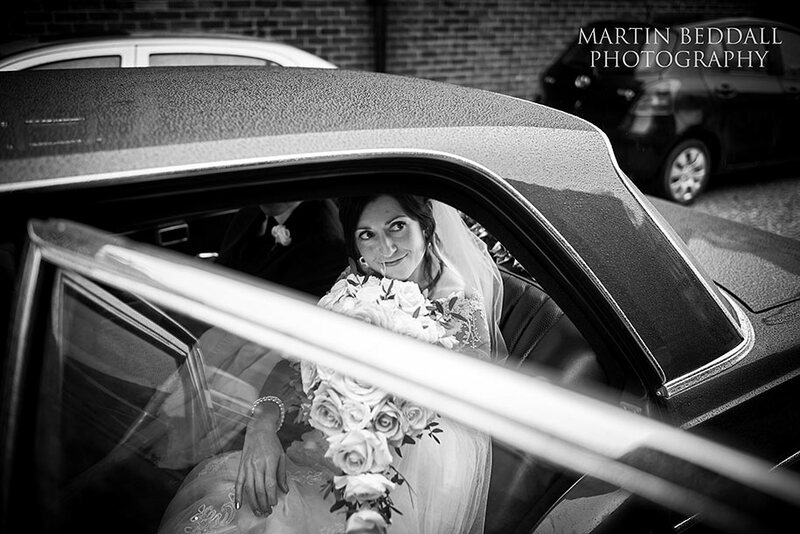 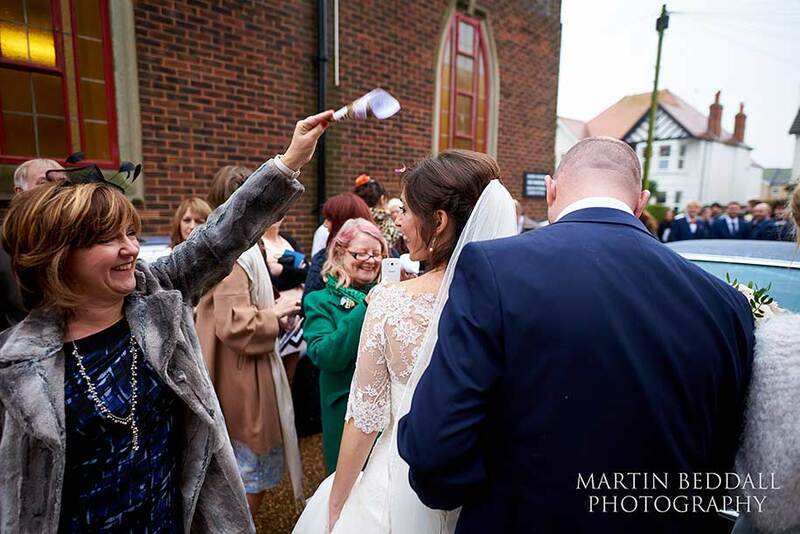 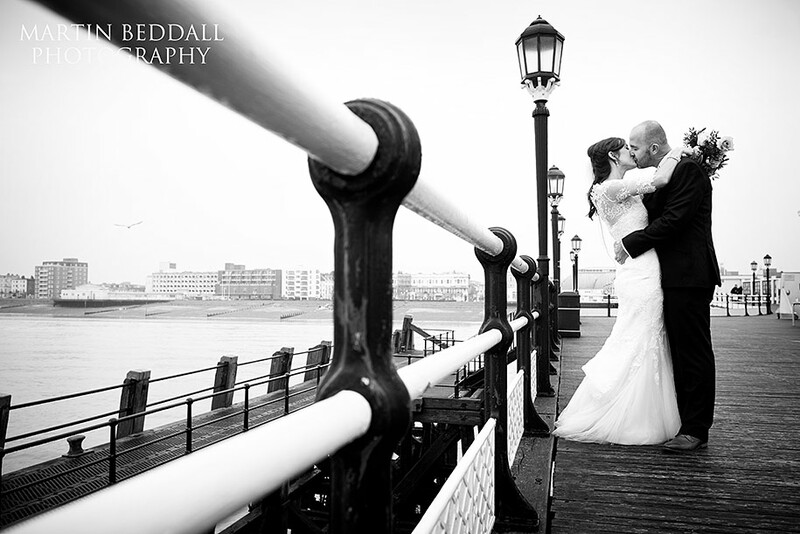 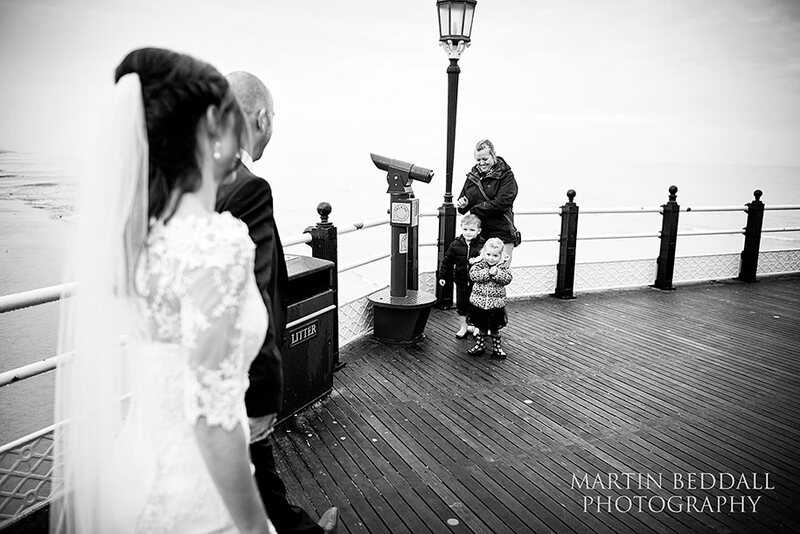 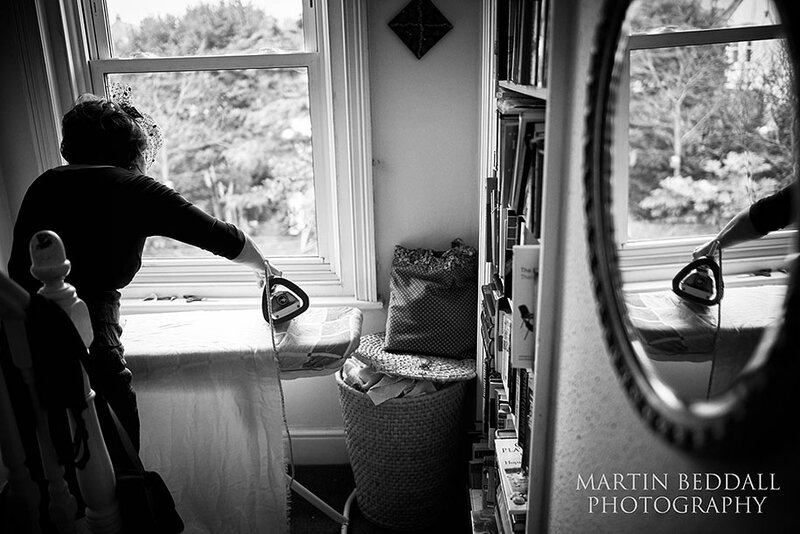 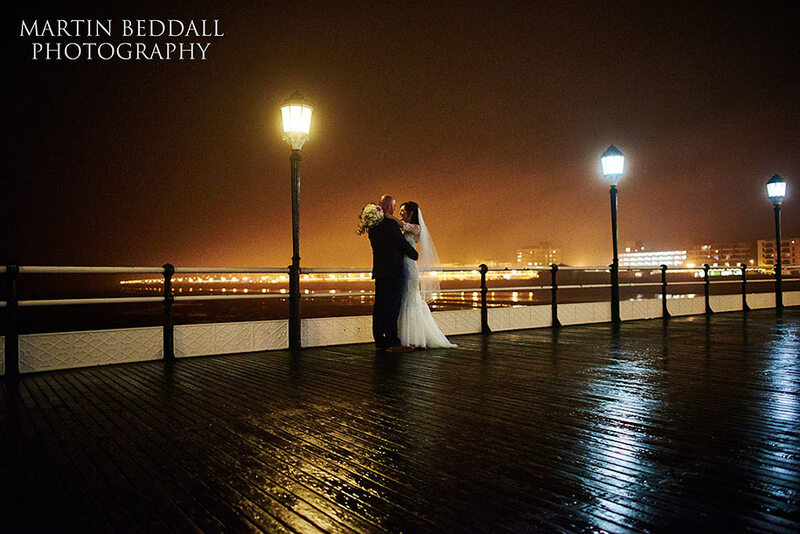 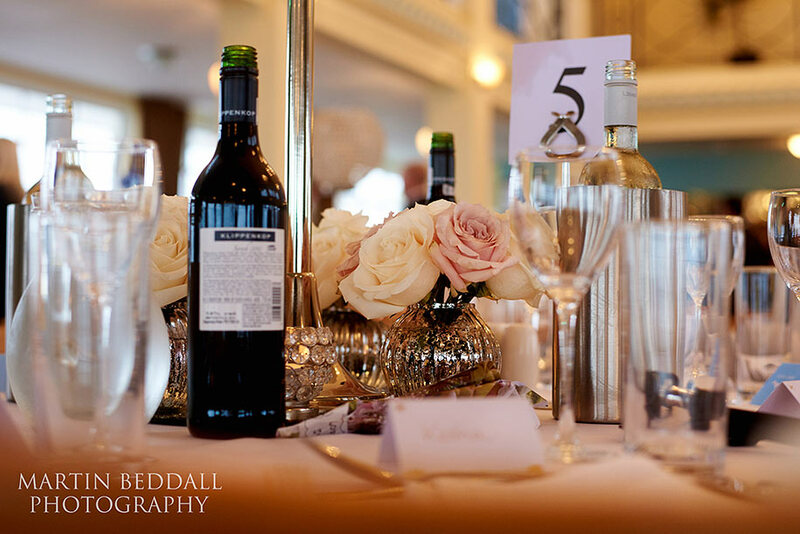 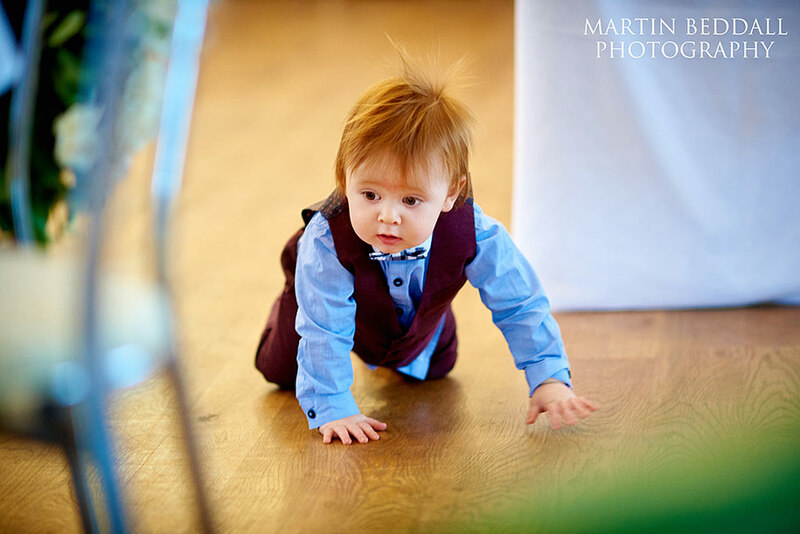 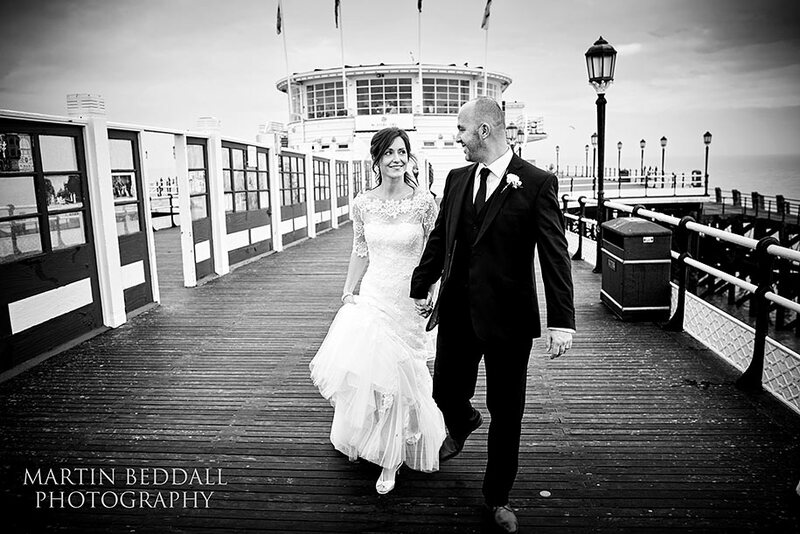 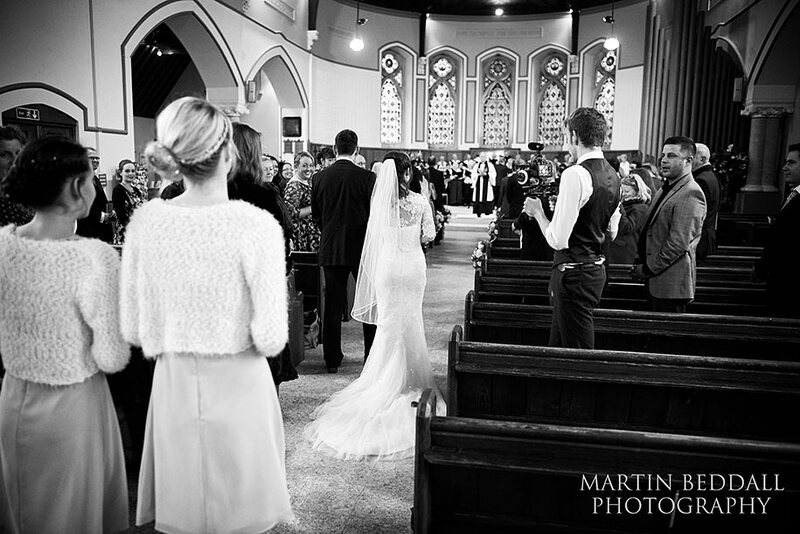 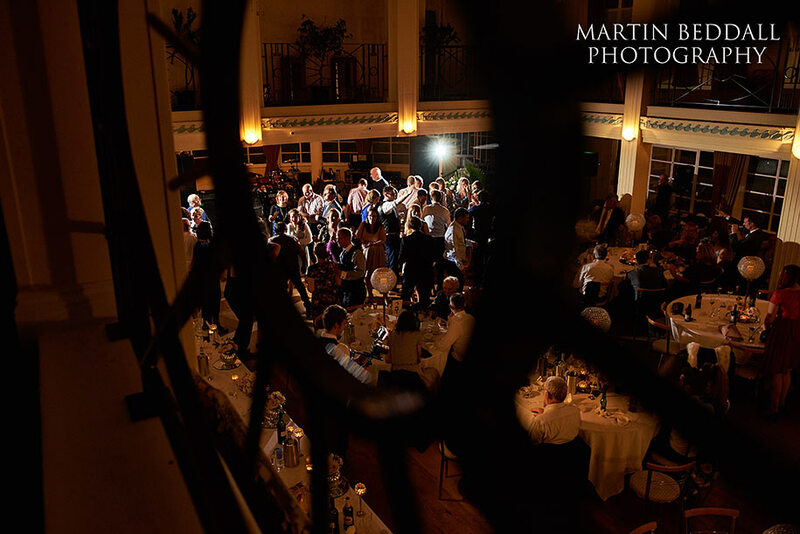 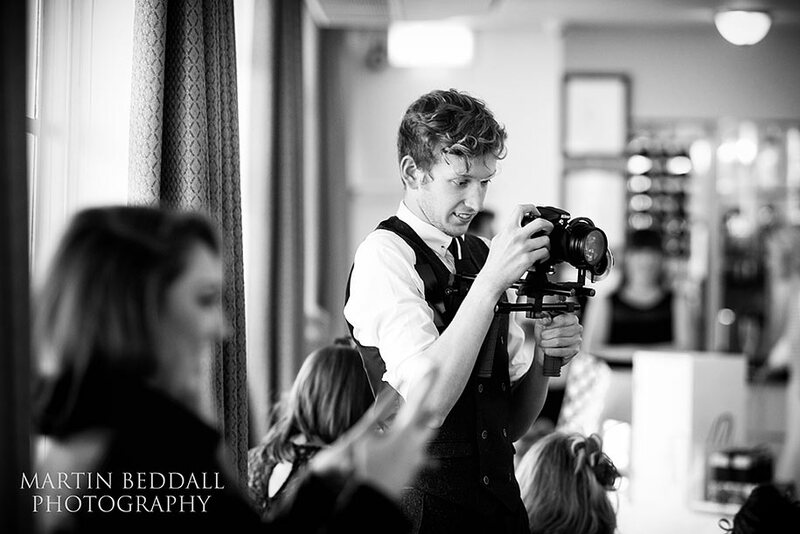 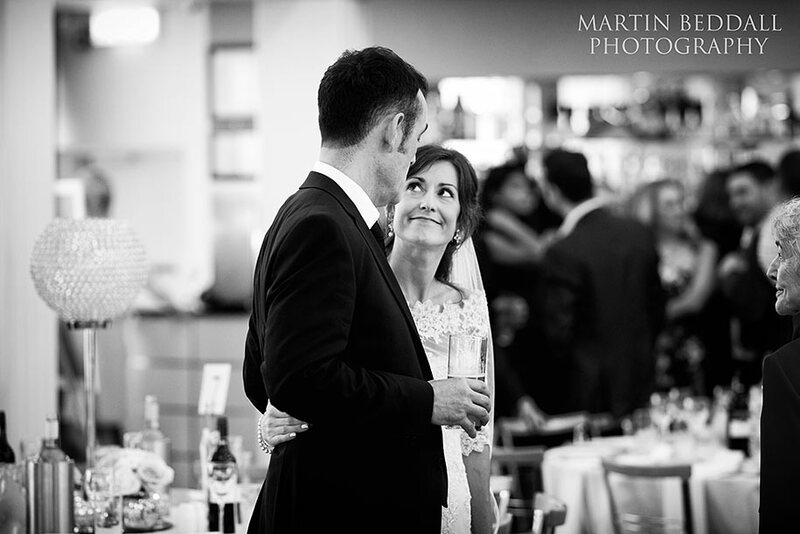 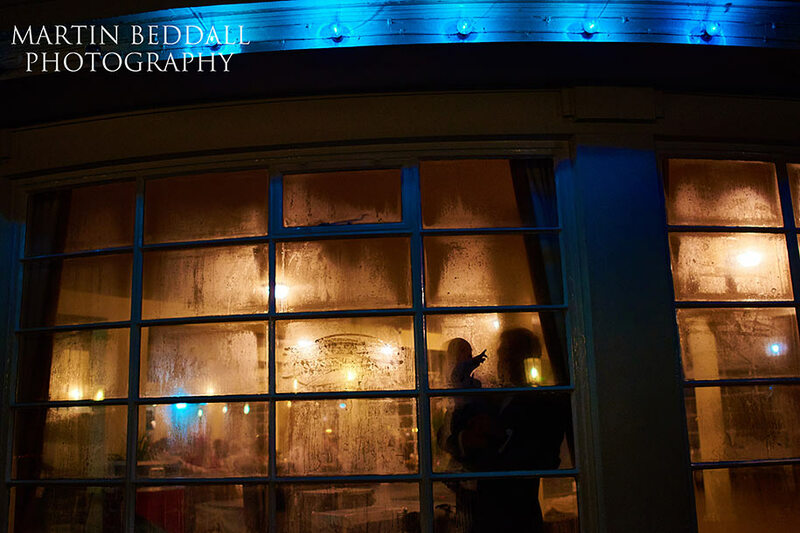 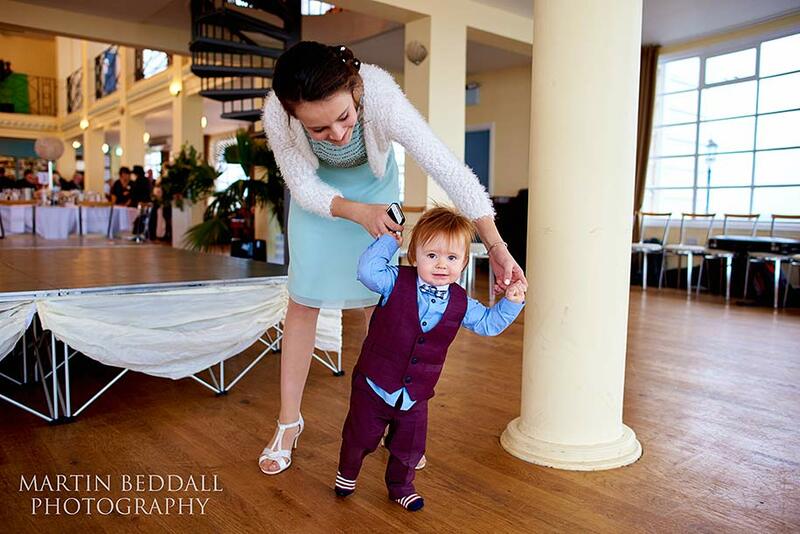 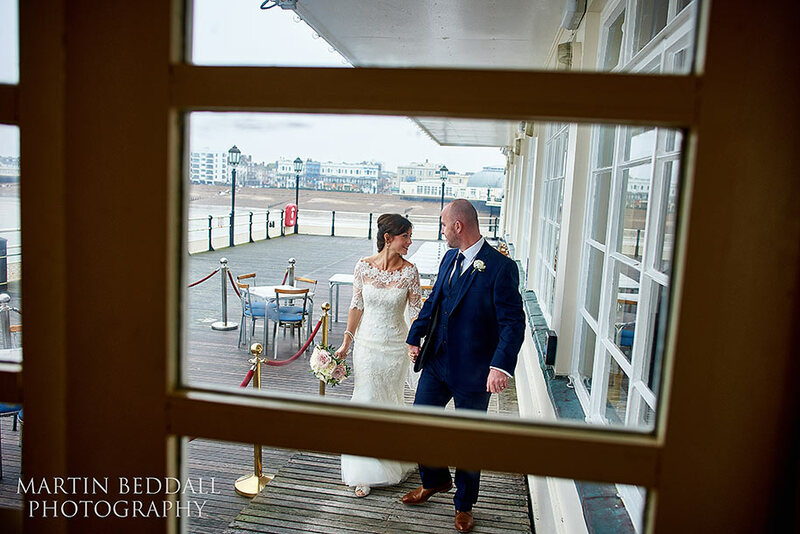 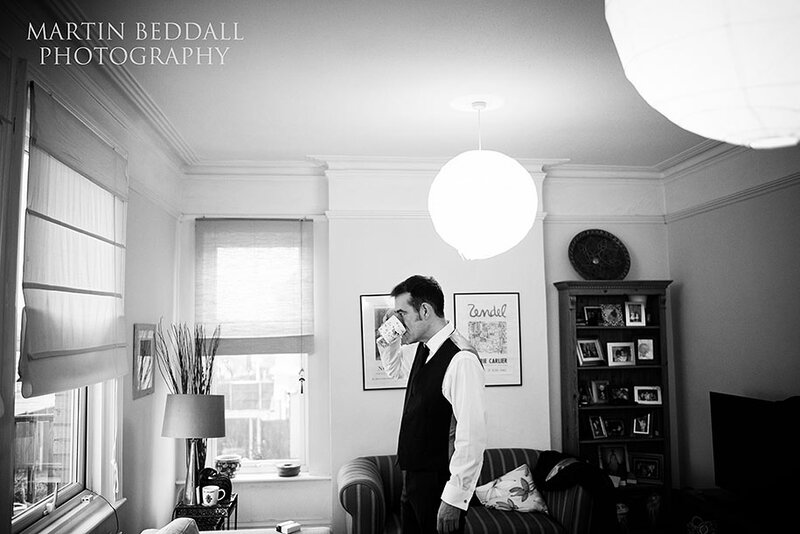 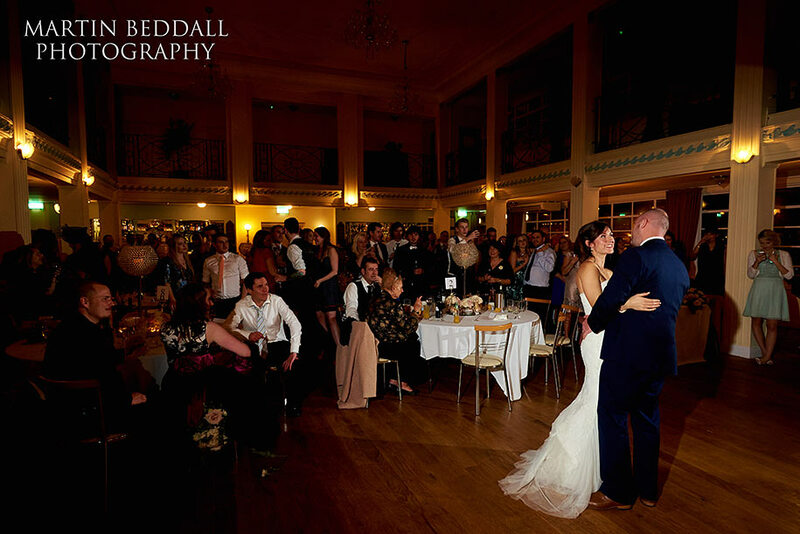 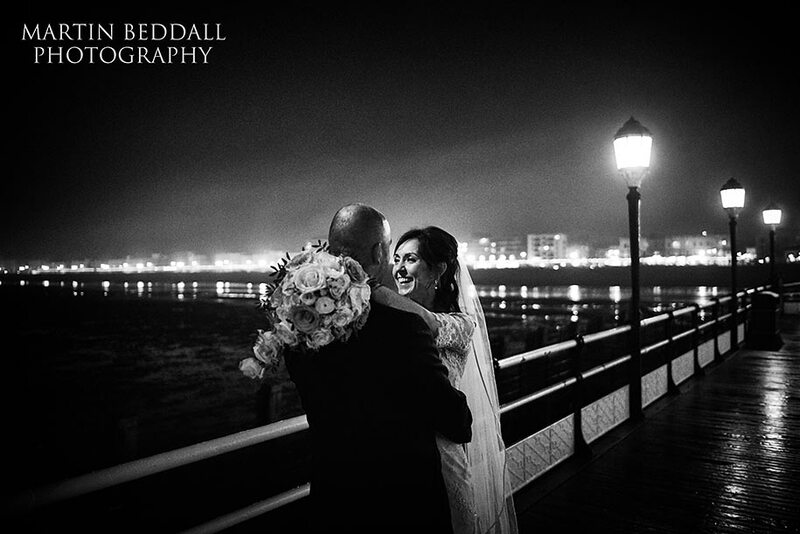 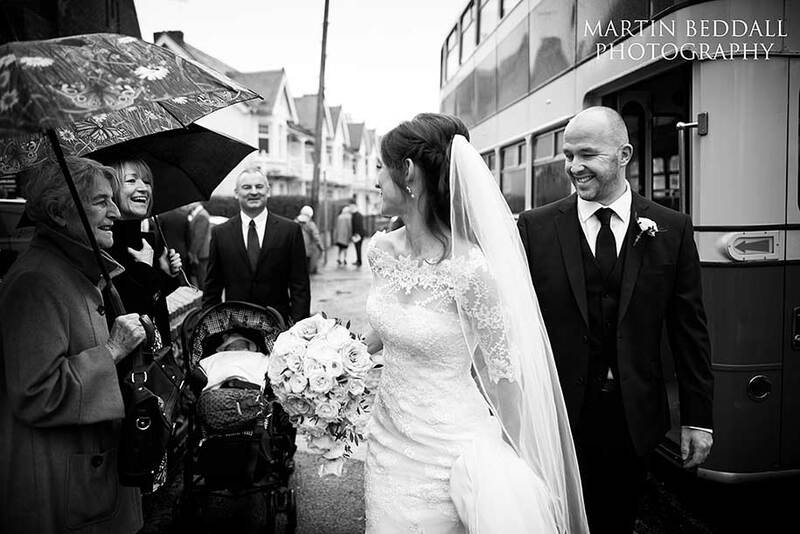 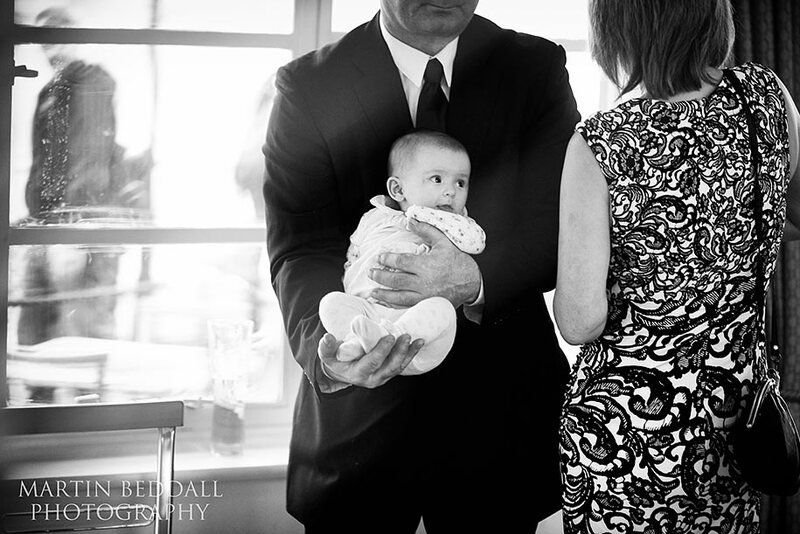 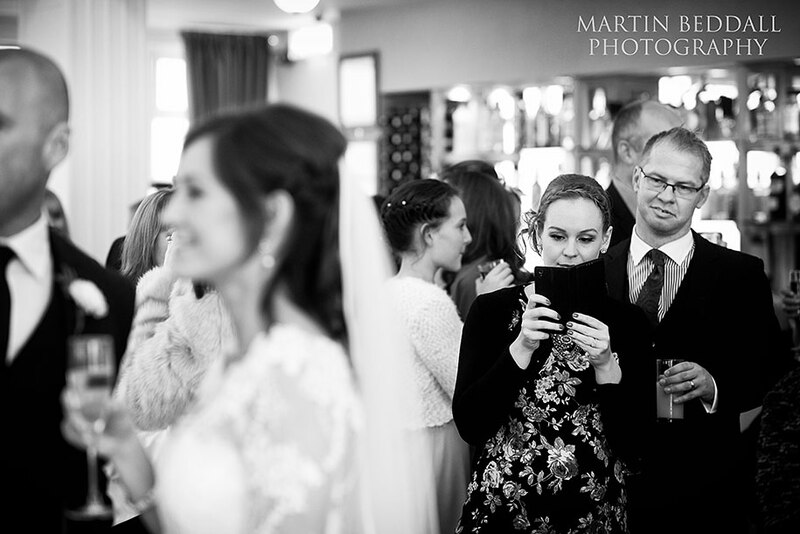 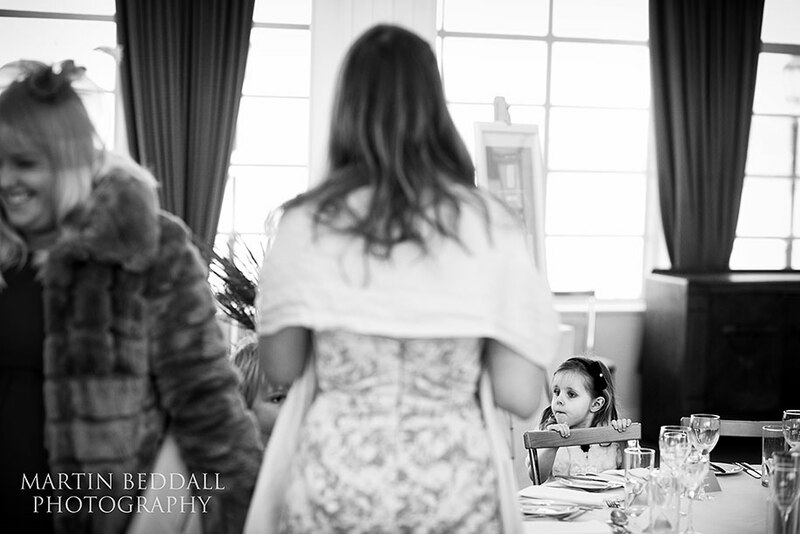 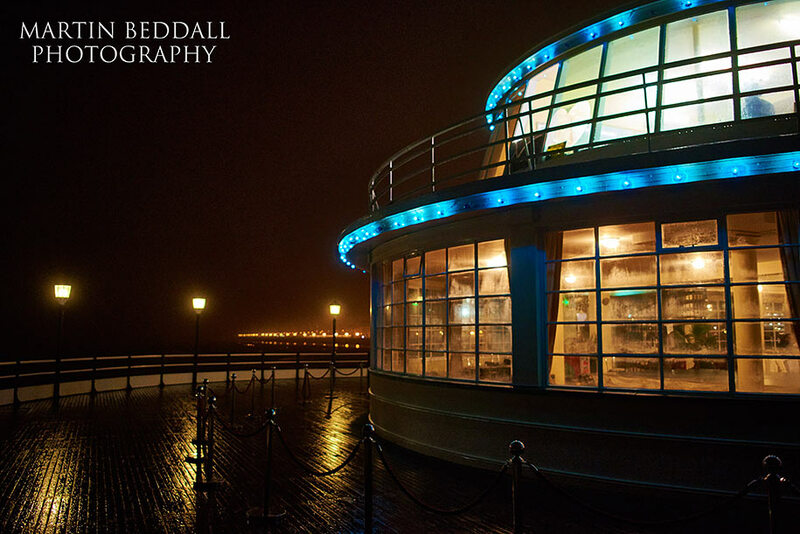 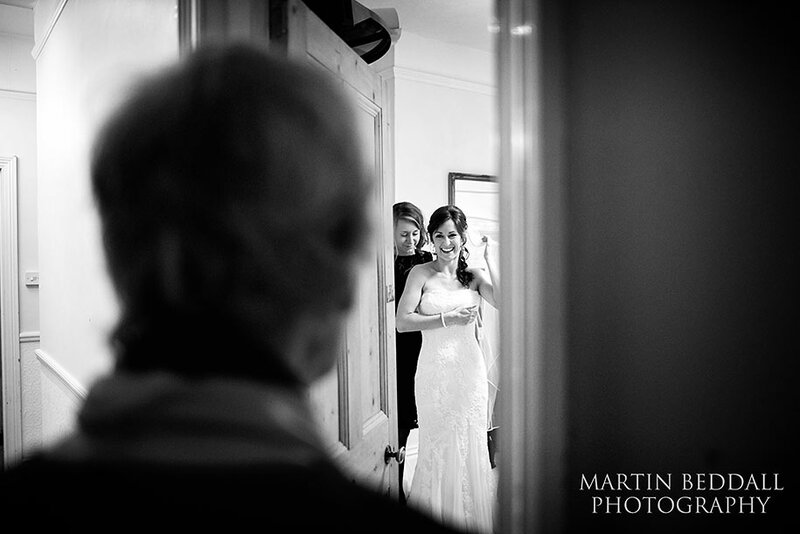 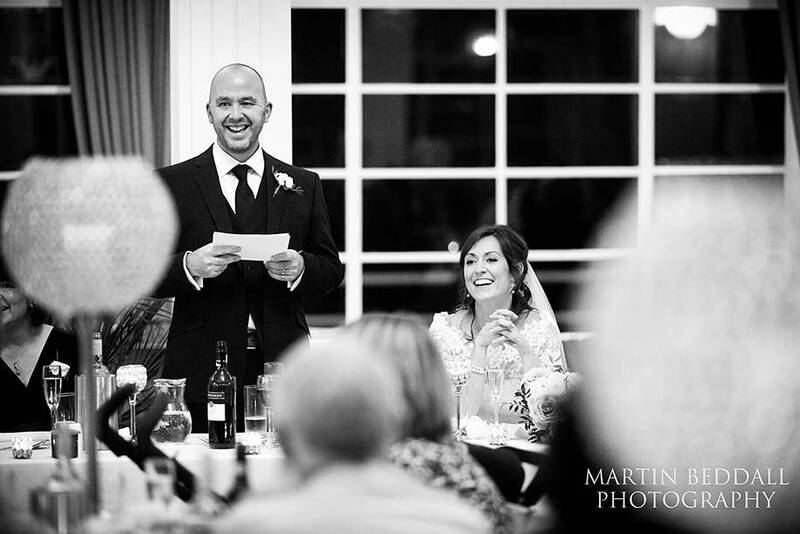 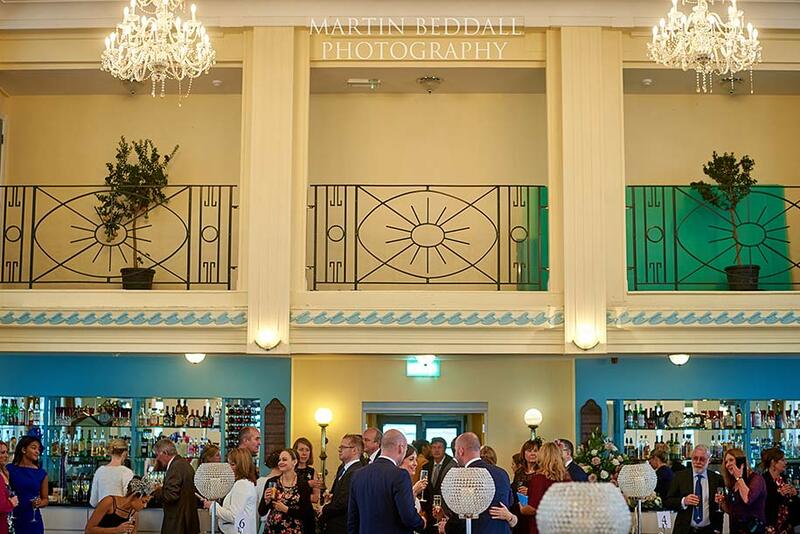 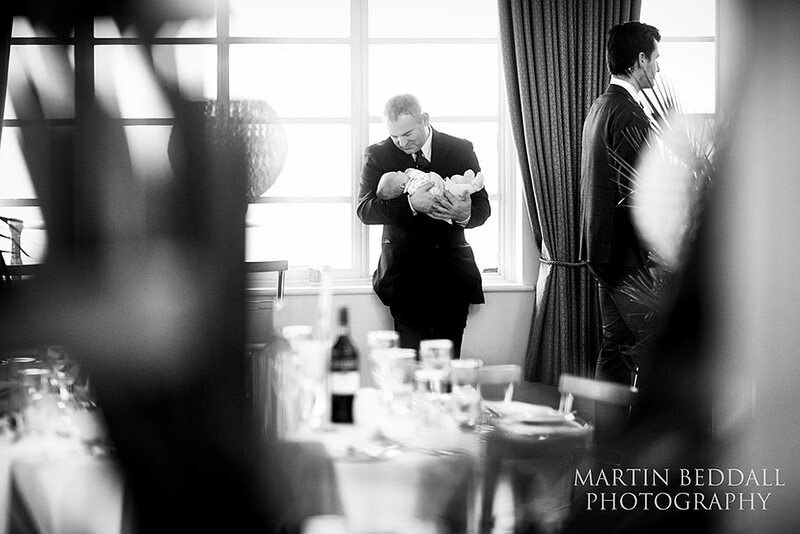 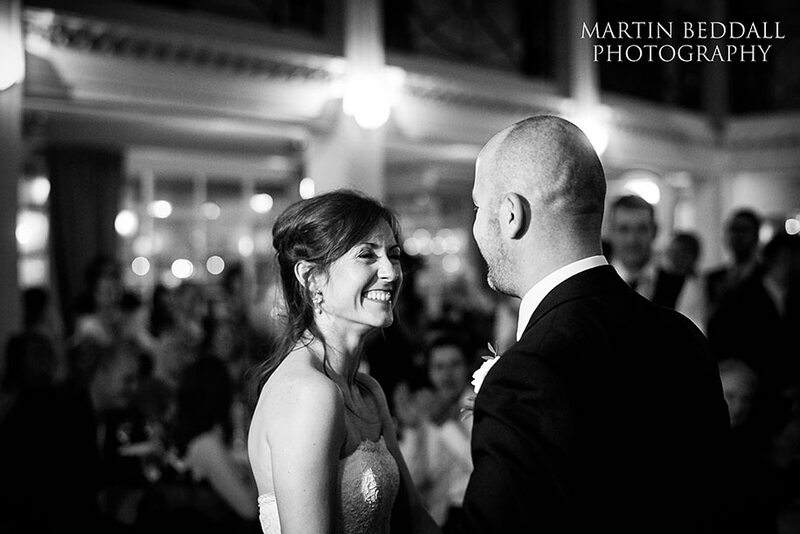 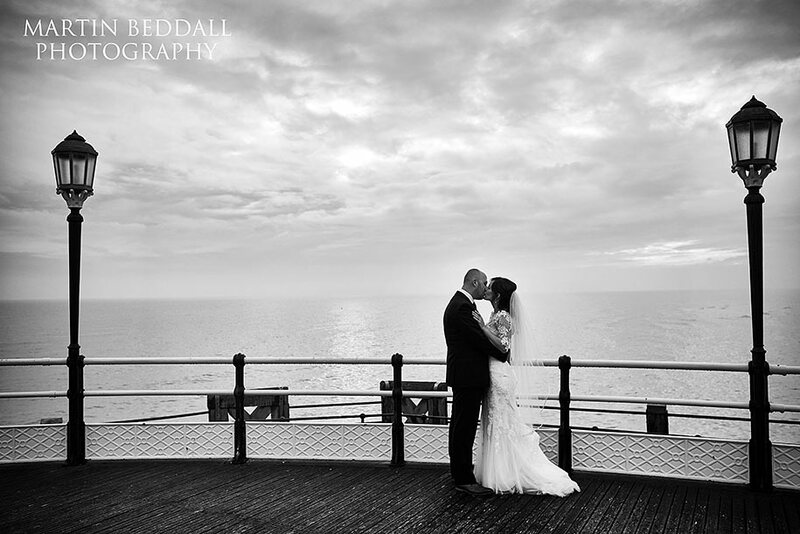 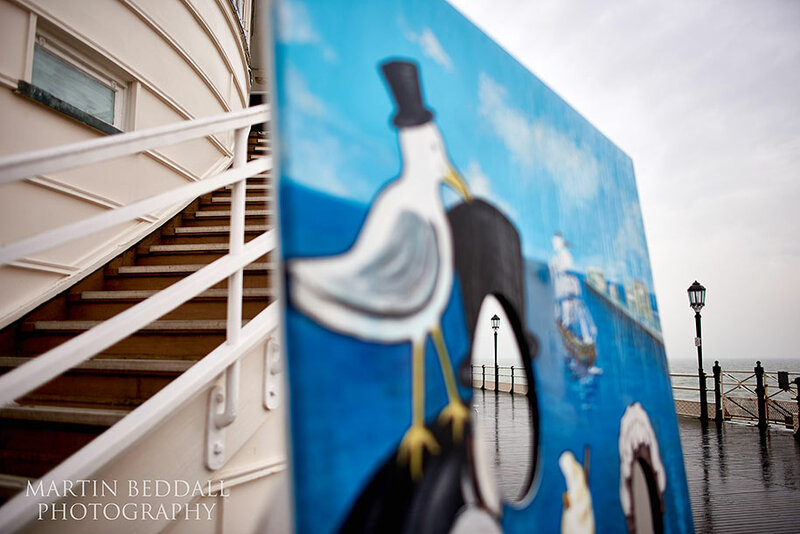 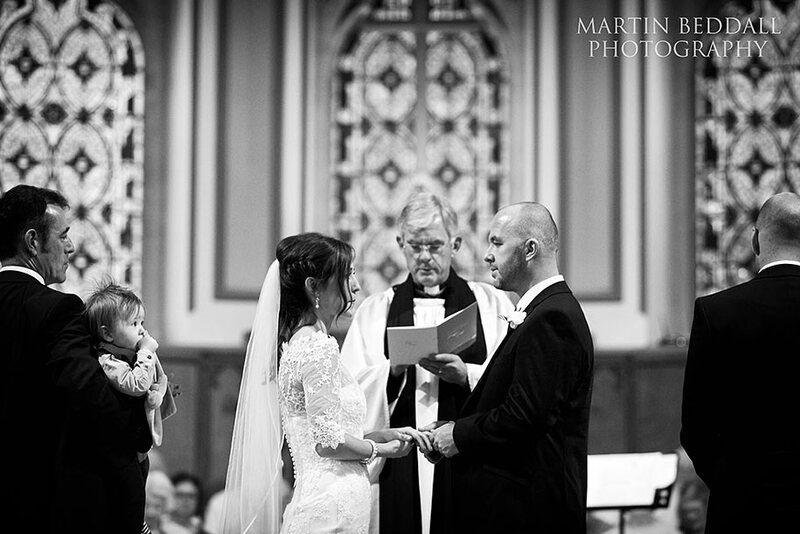 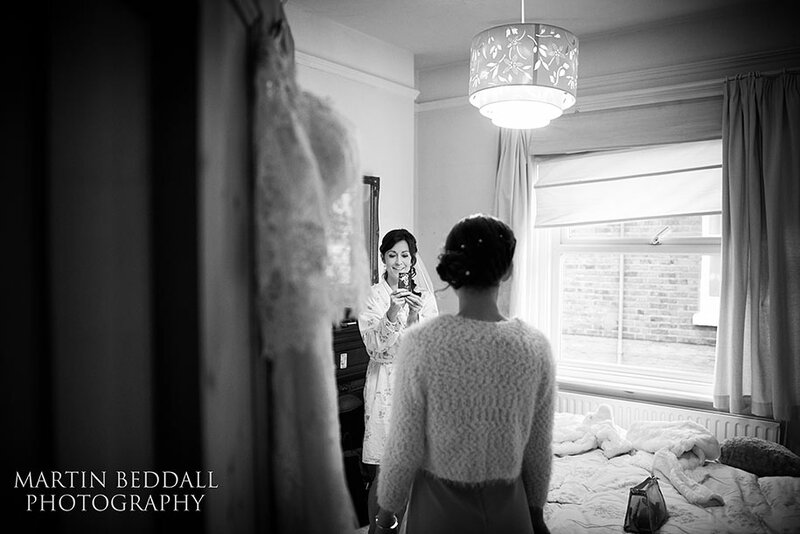 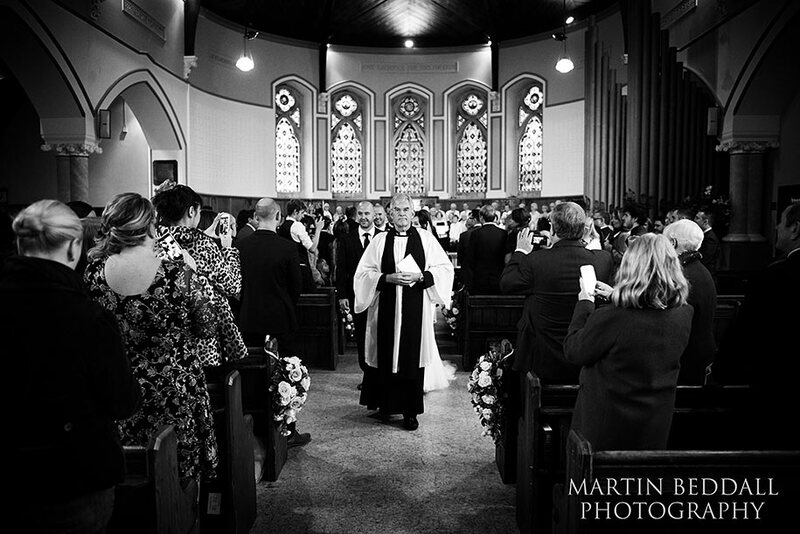 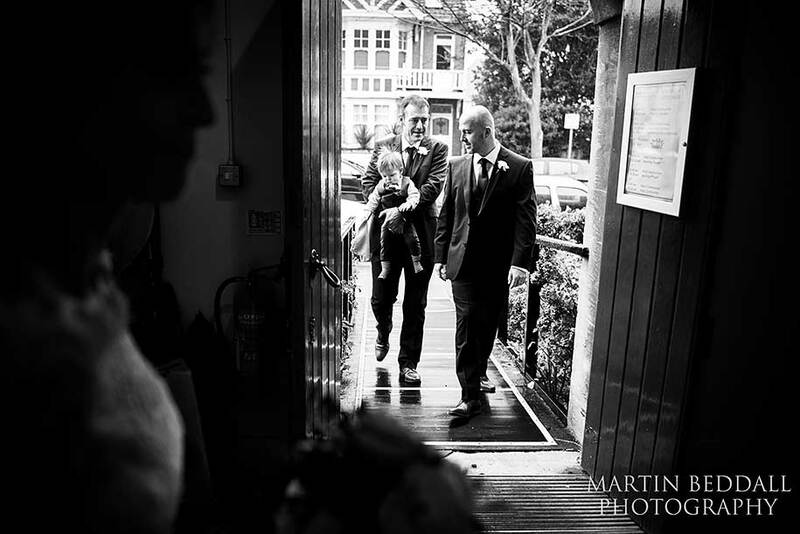 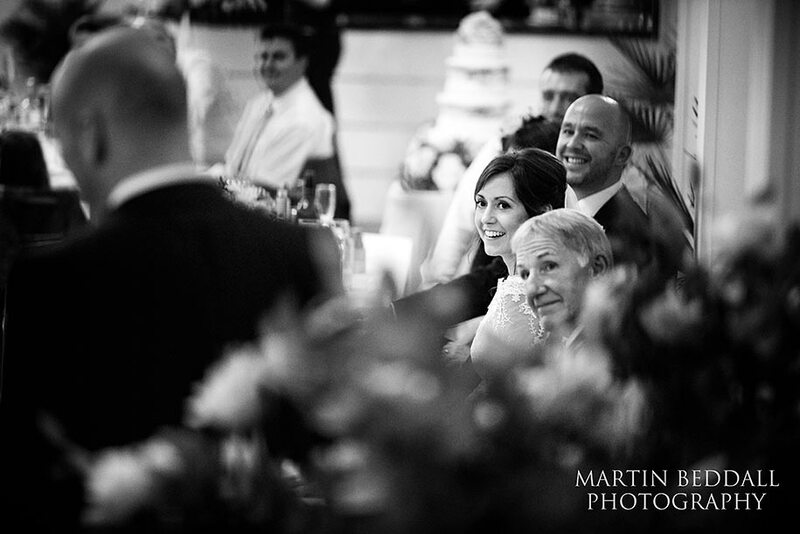 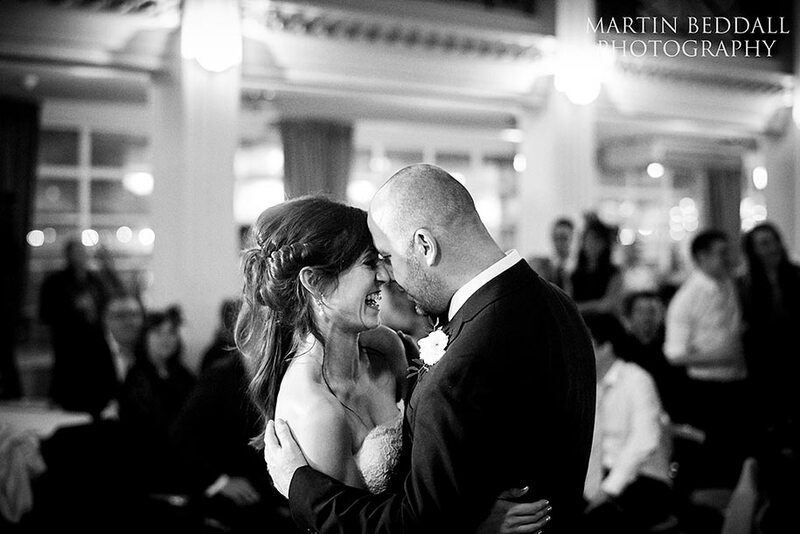 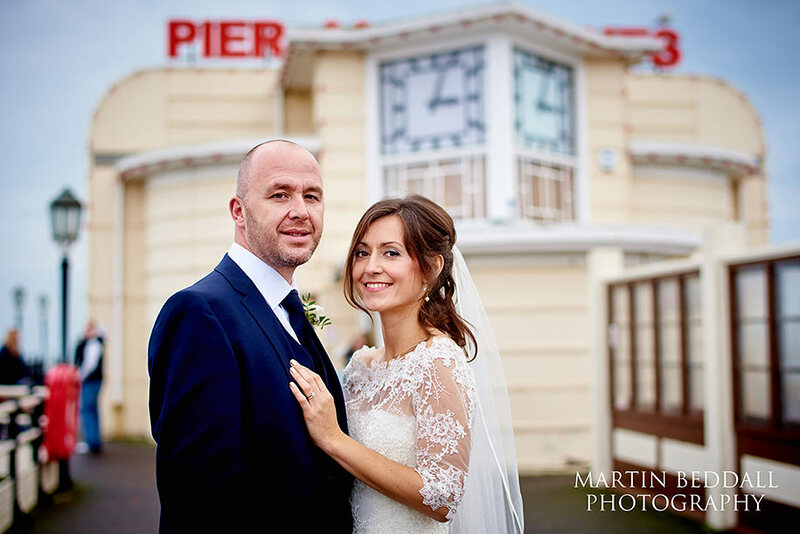 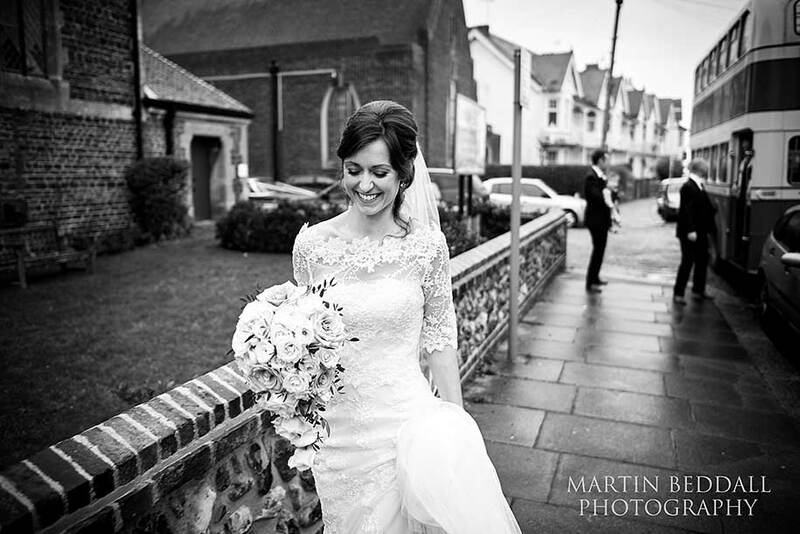 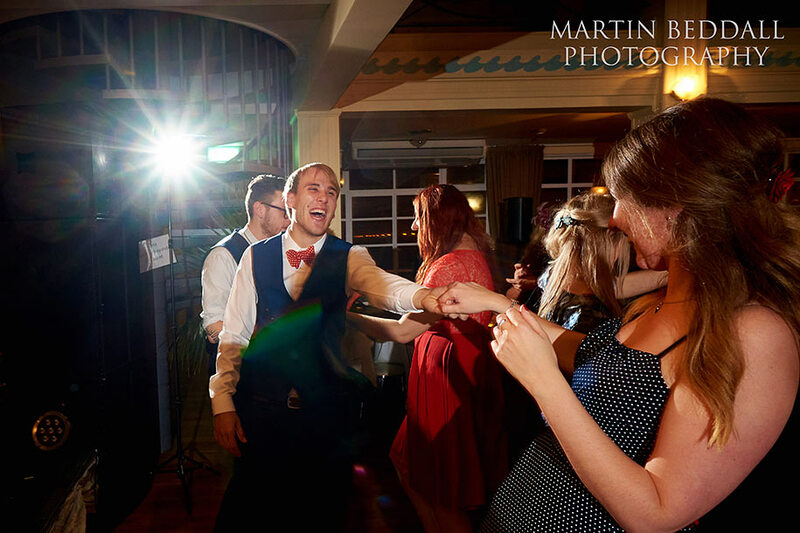 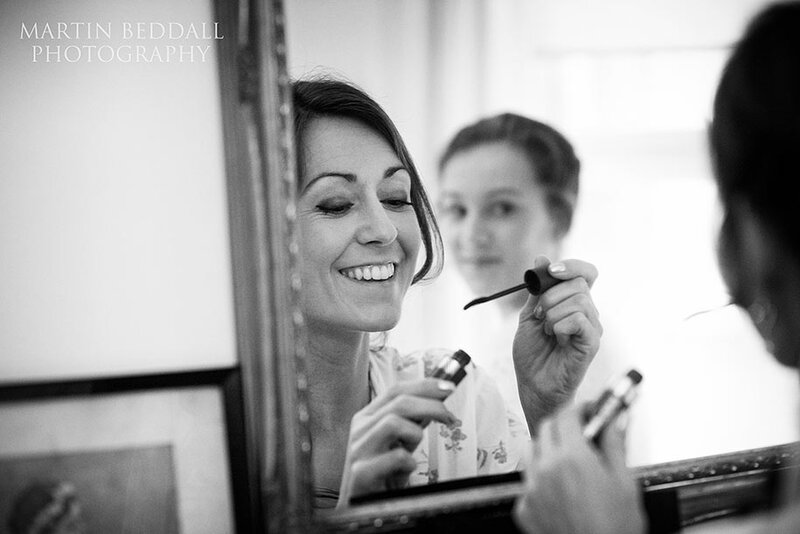 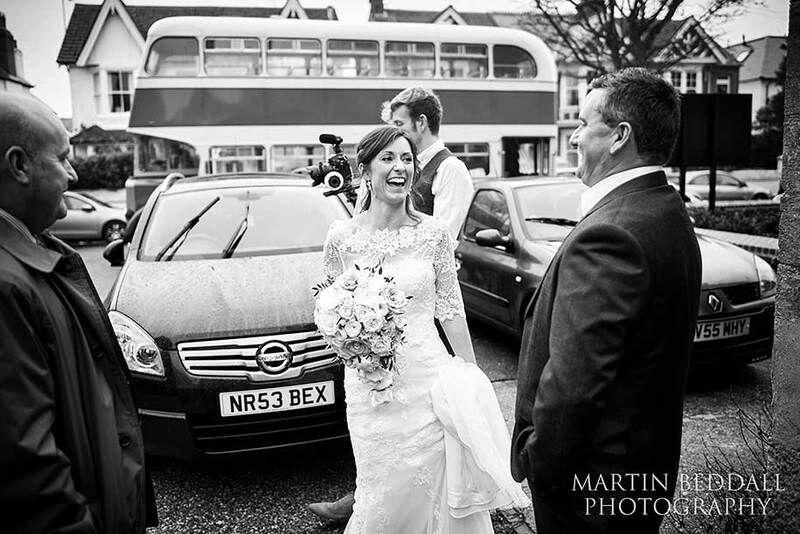 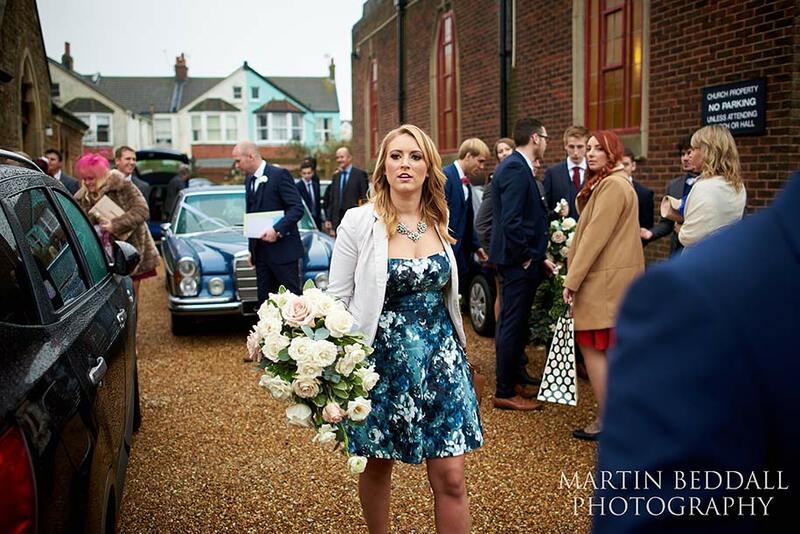 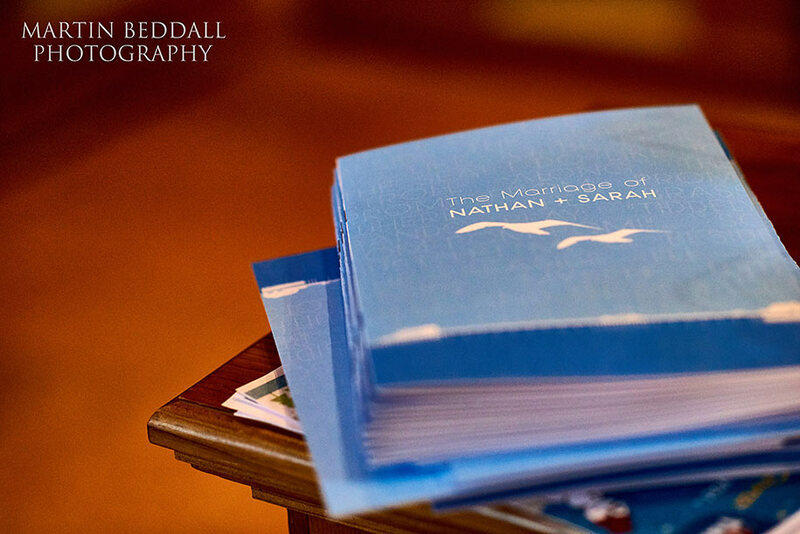 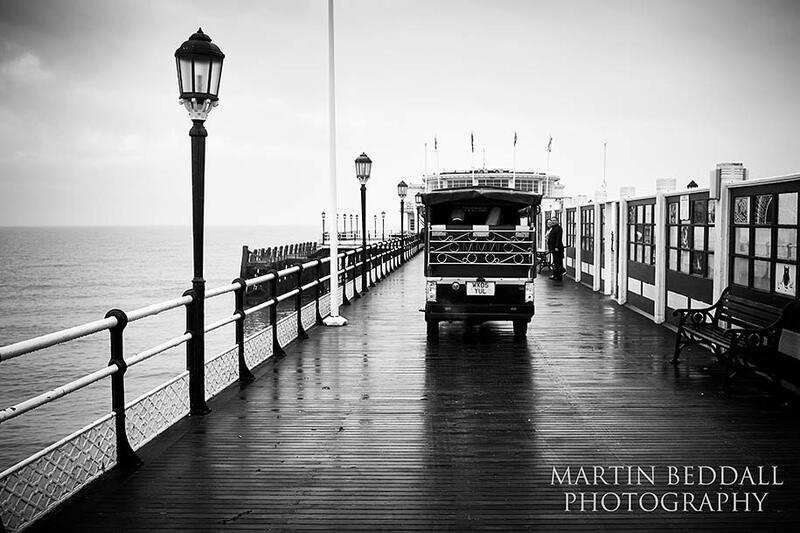 A Worthing Pier wedding and a special place for Sarah and Nathan. 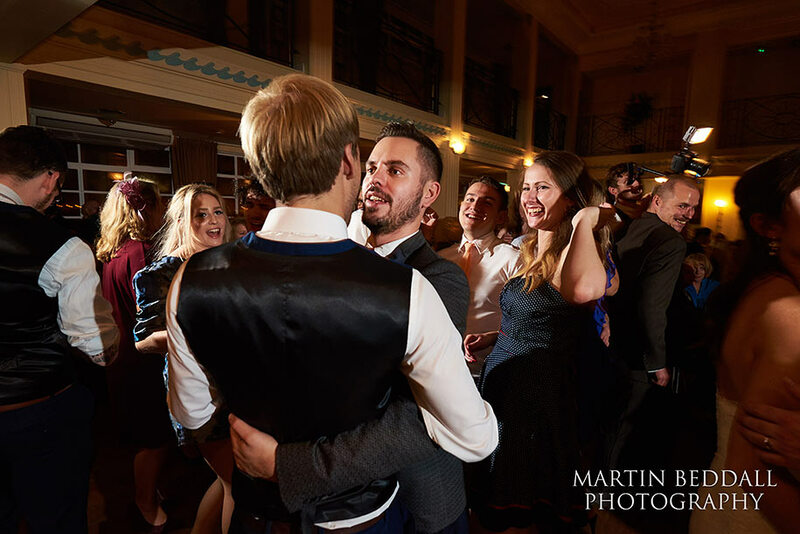 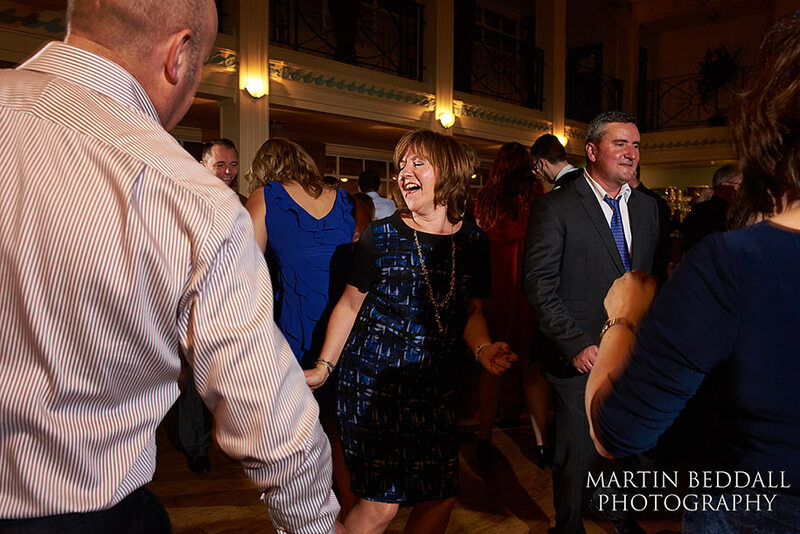 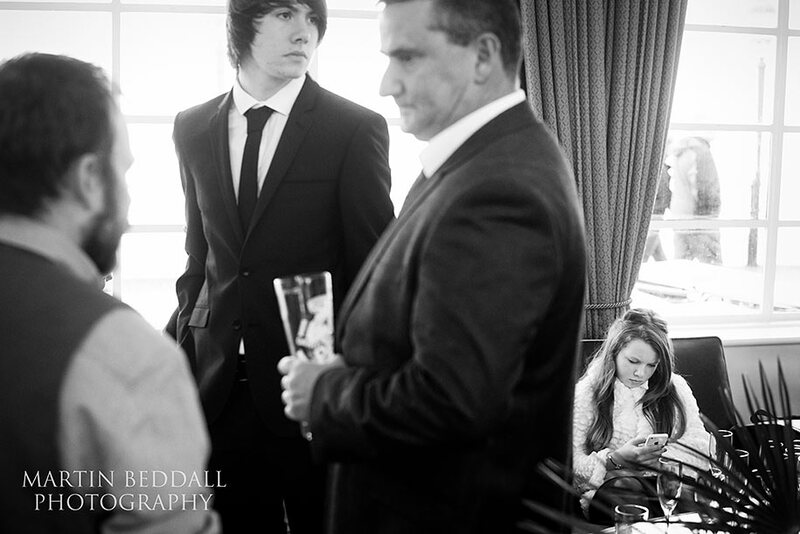 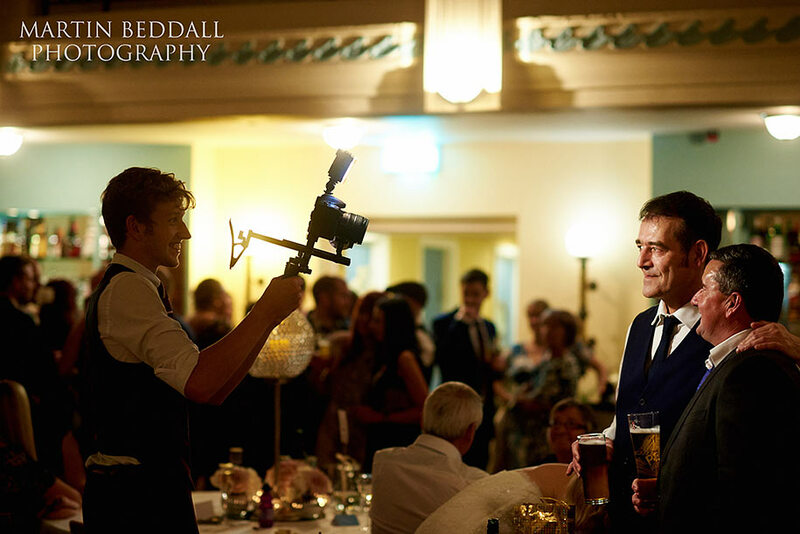 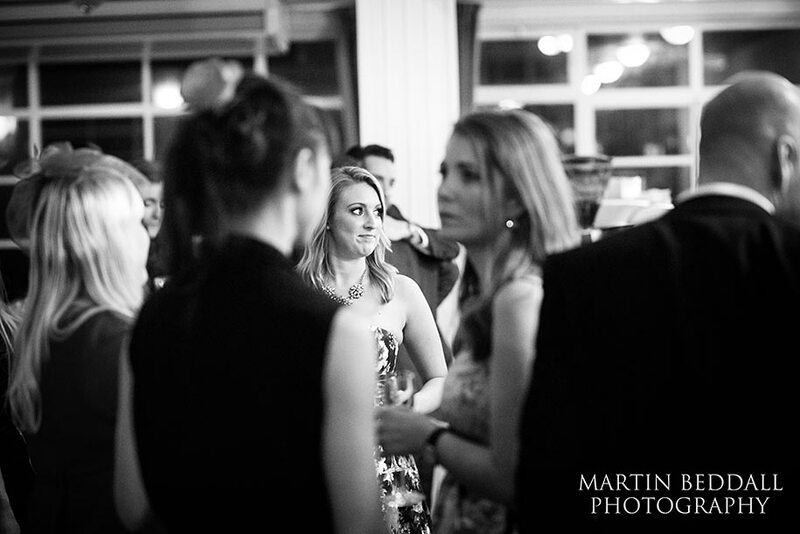 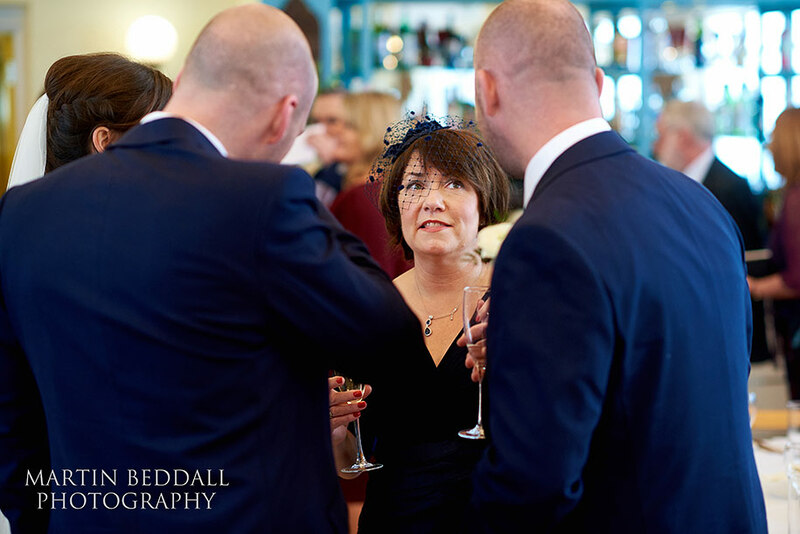 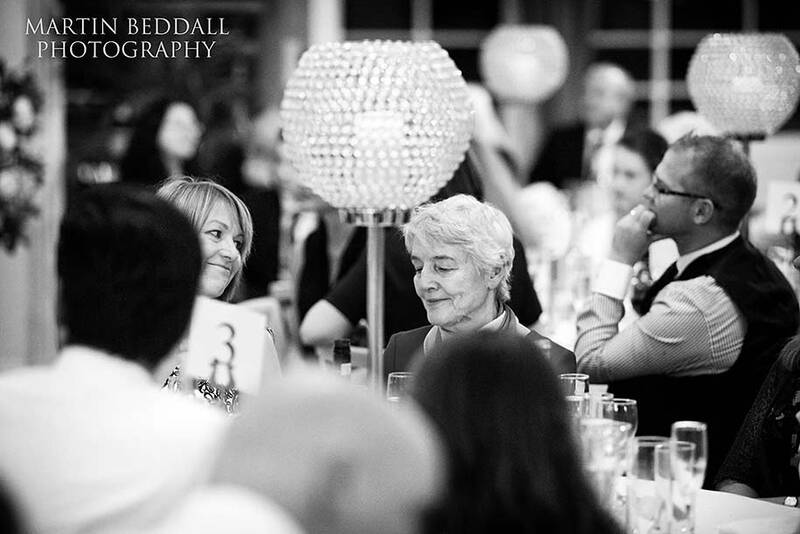 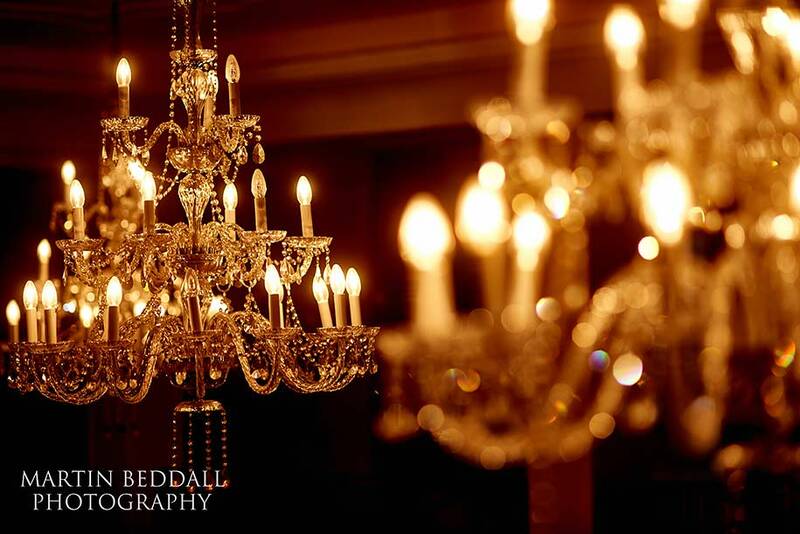 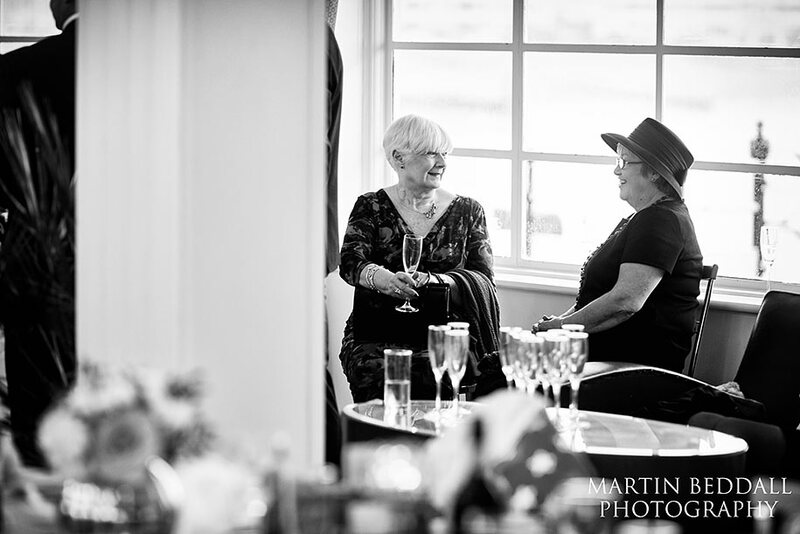 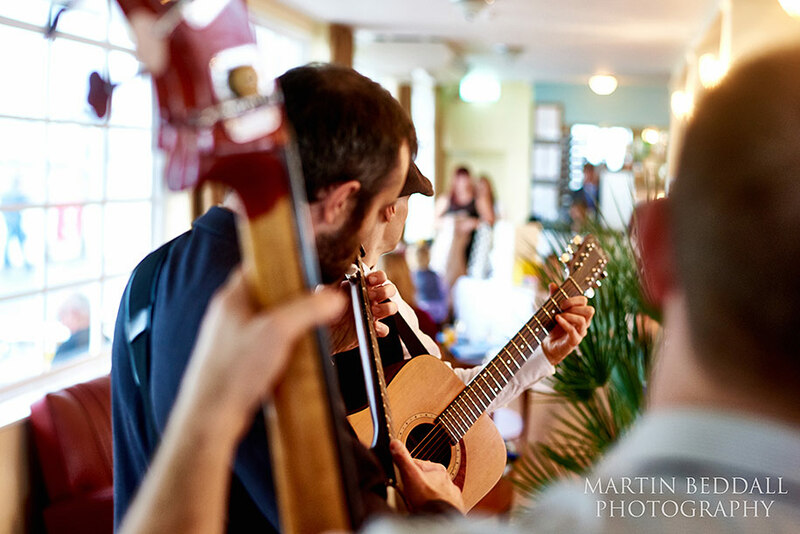 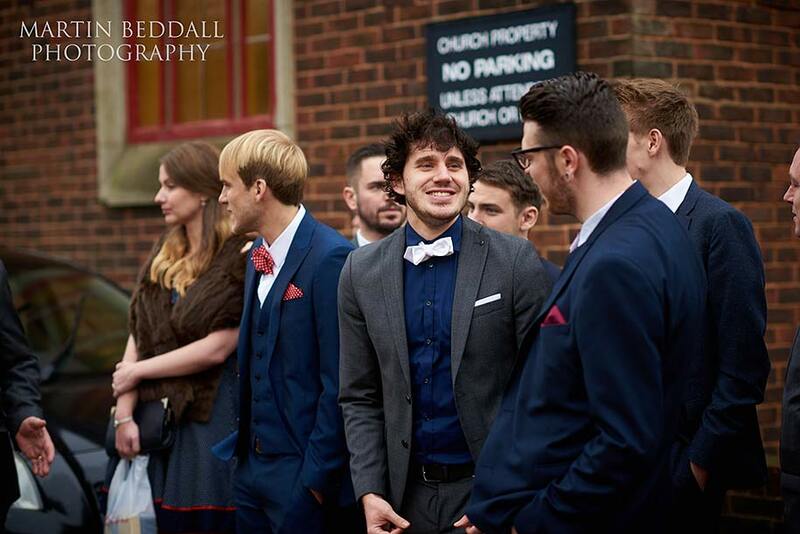 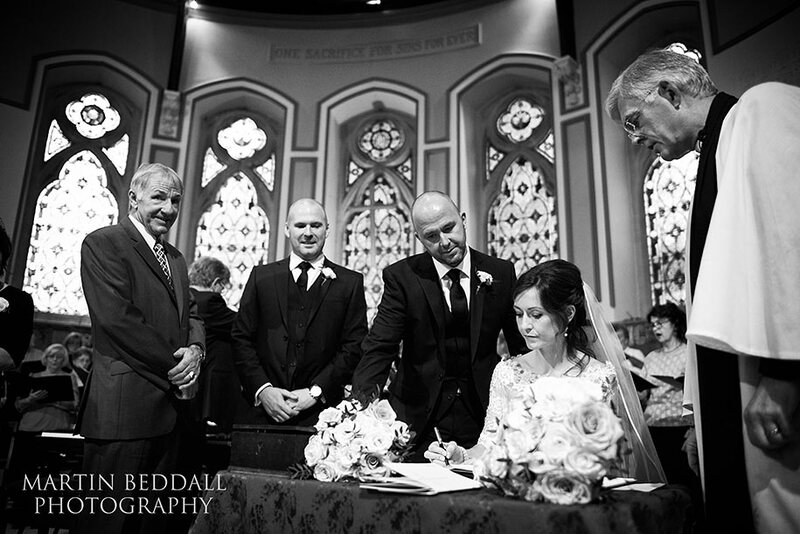 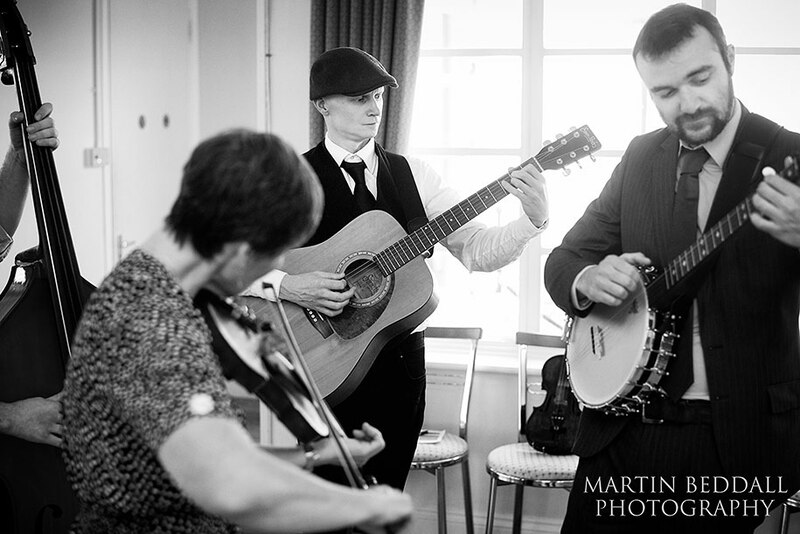 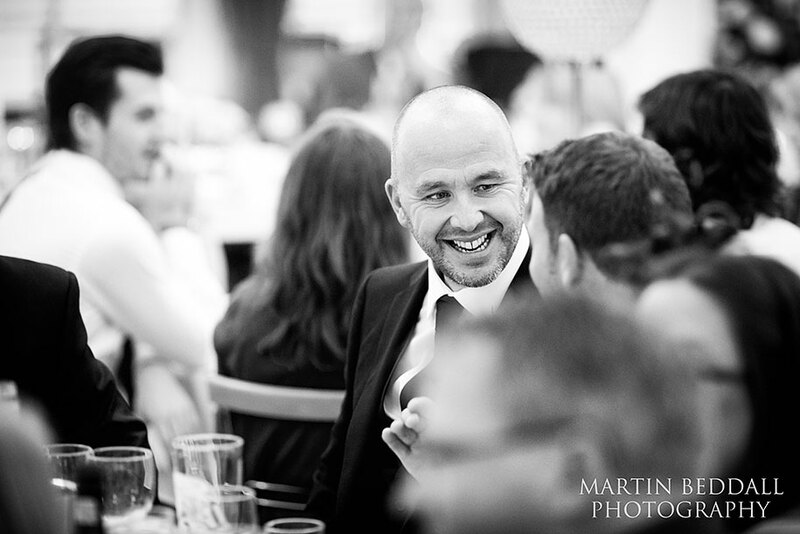 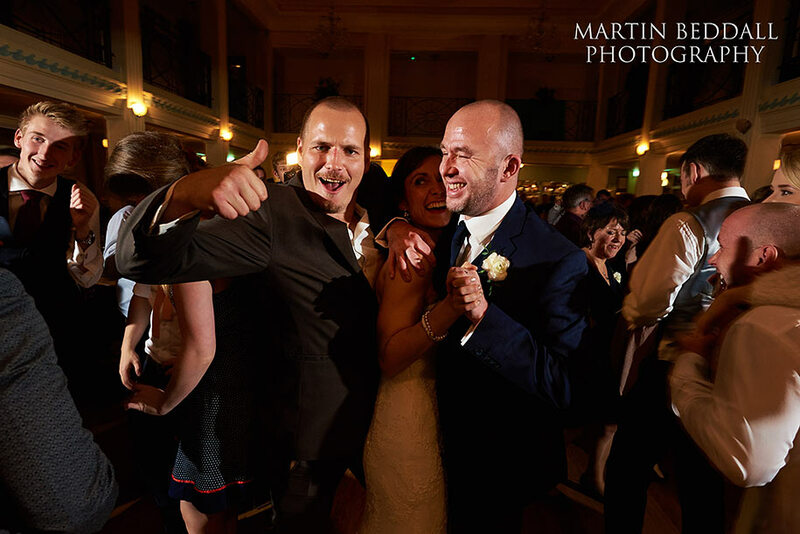 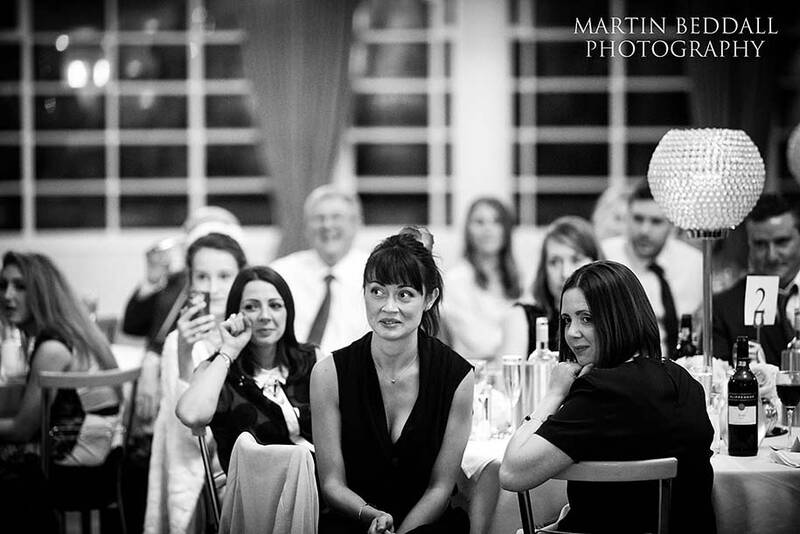 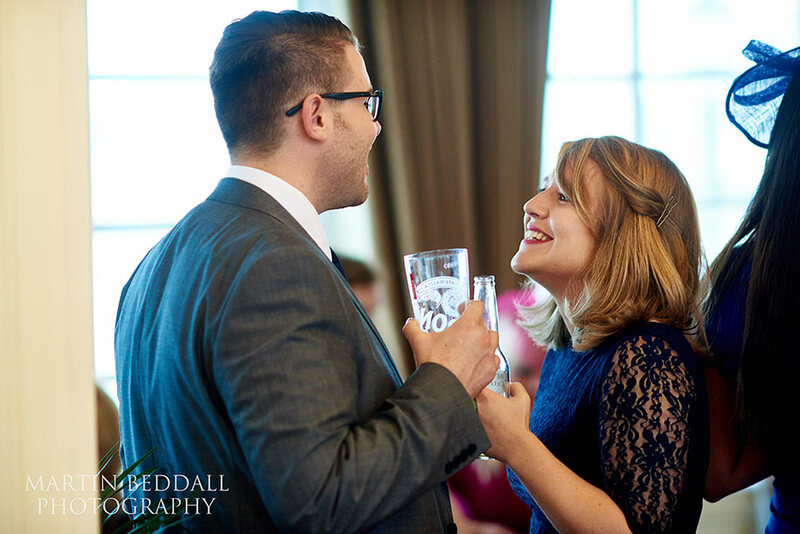 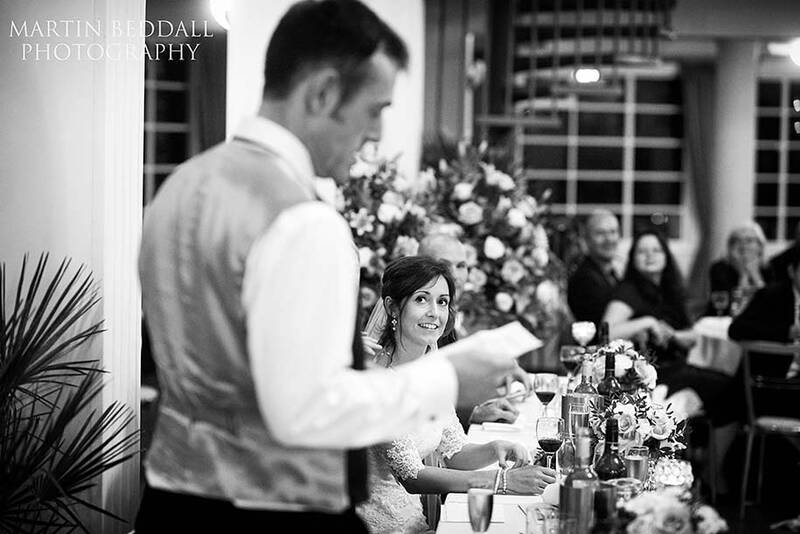 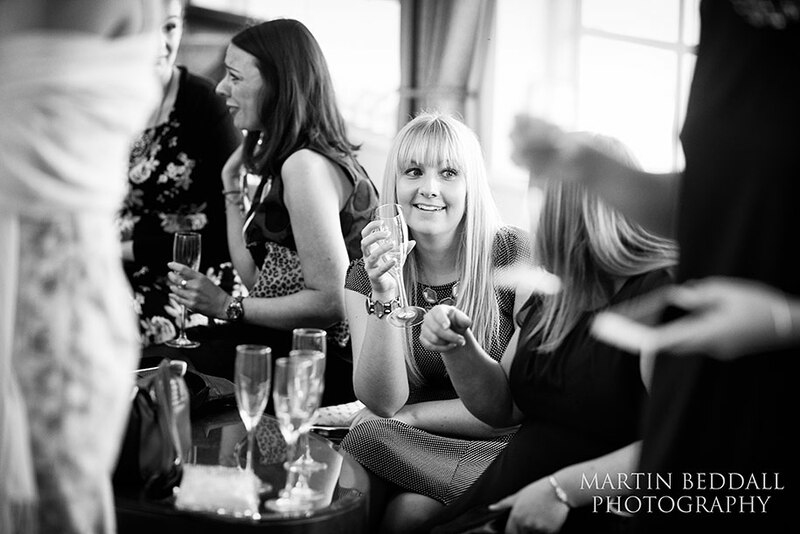 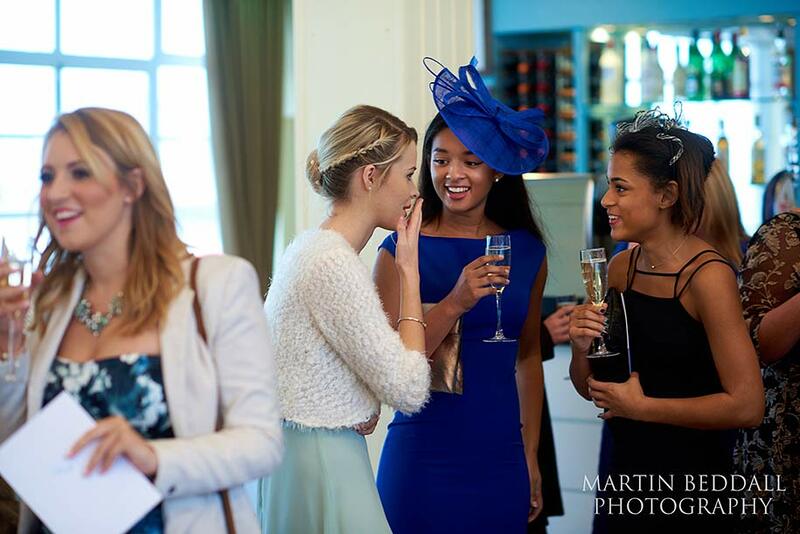 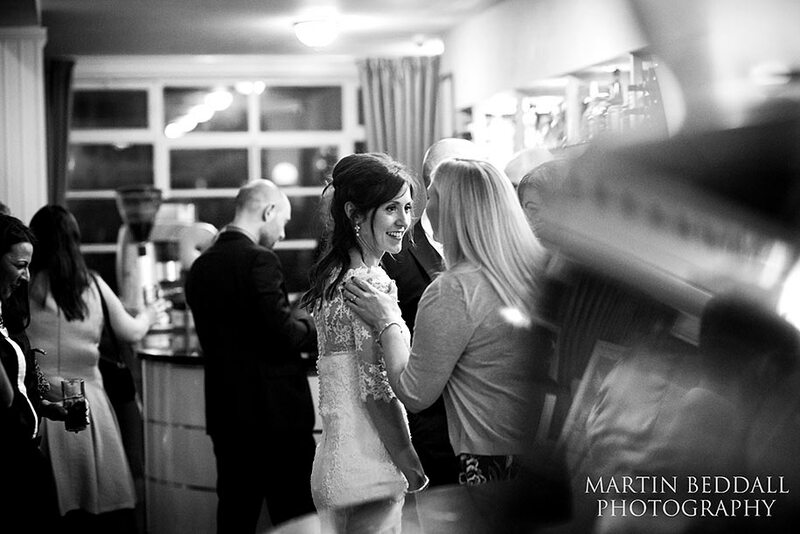 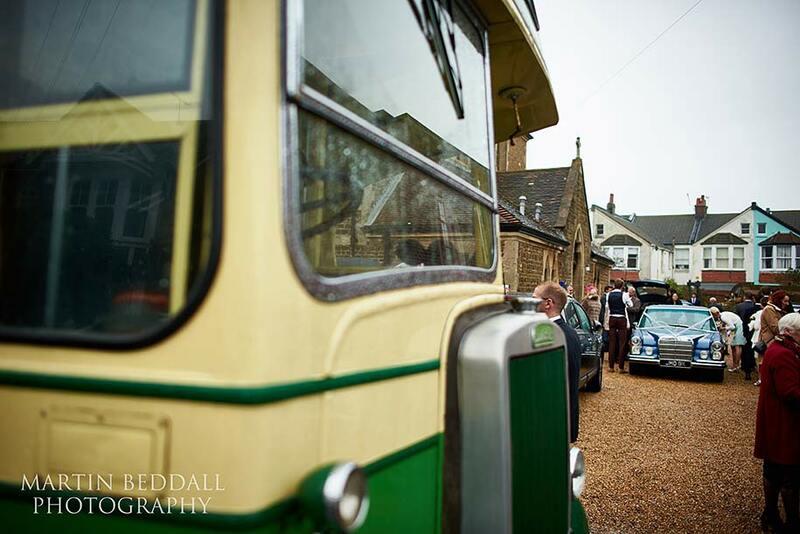 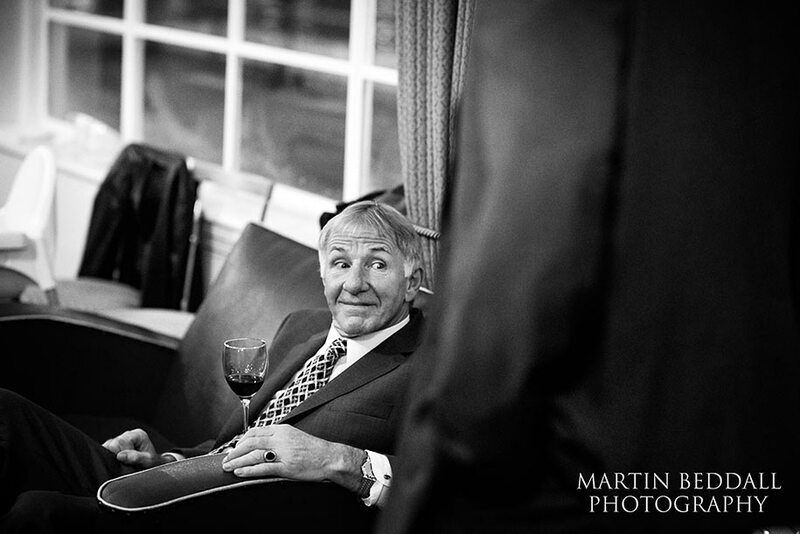 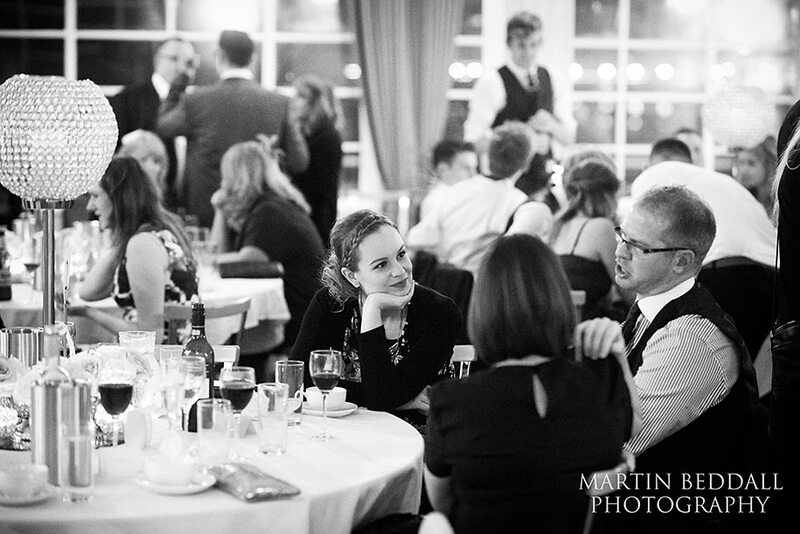 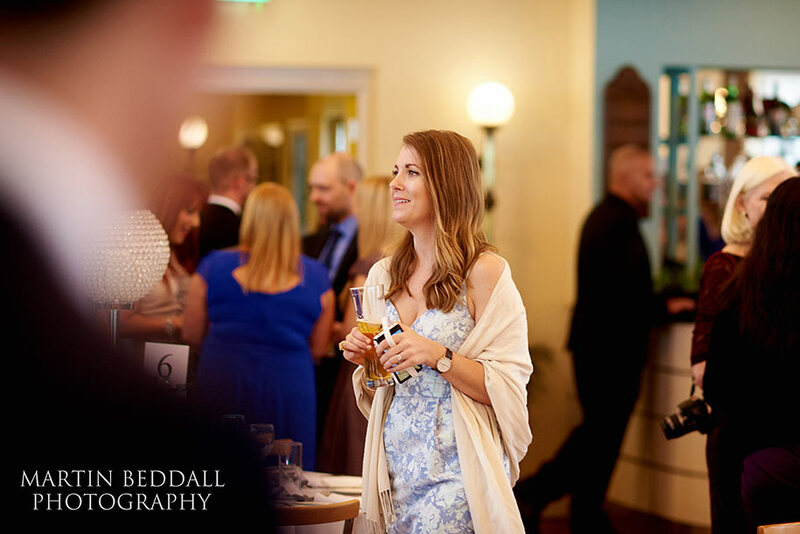 It was instrumental in them meeting and so was a clear choice for their wedding reception last Saturday. 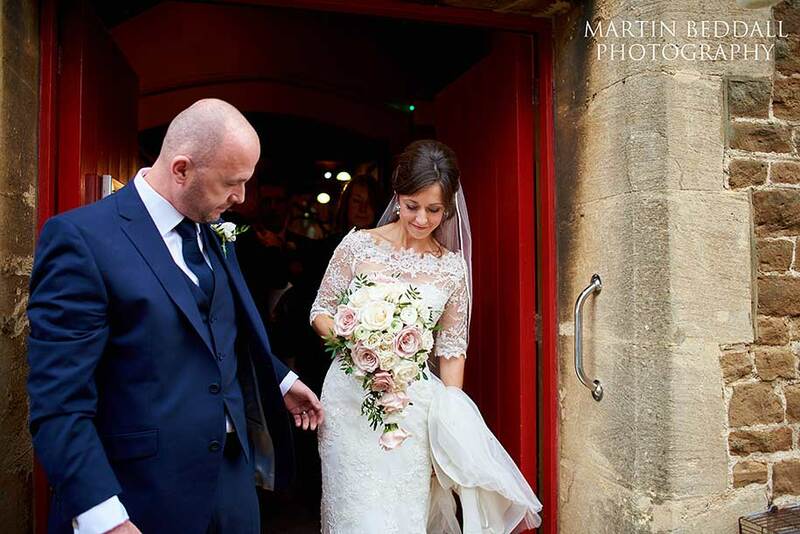 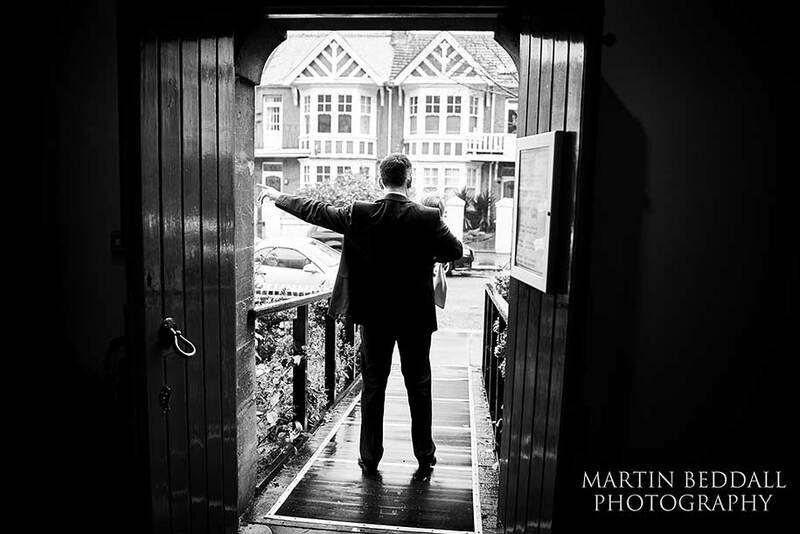 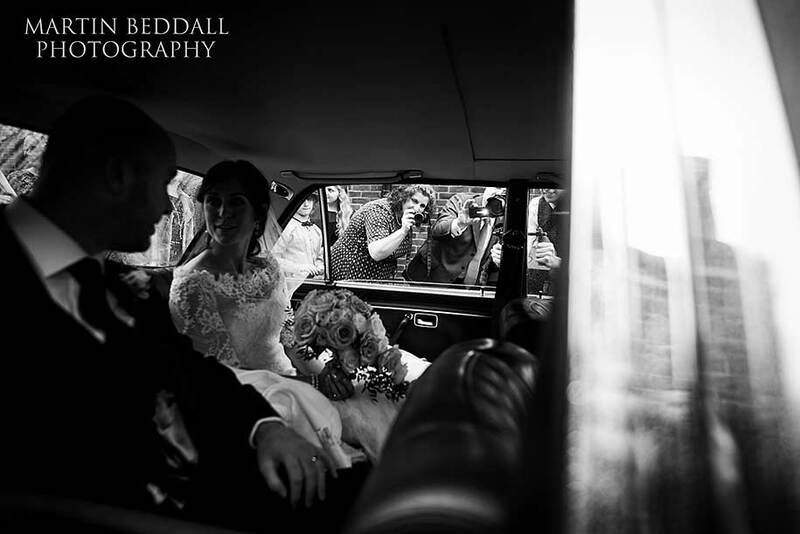 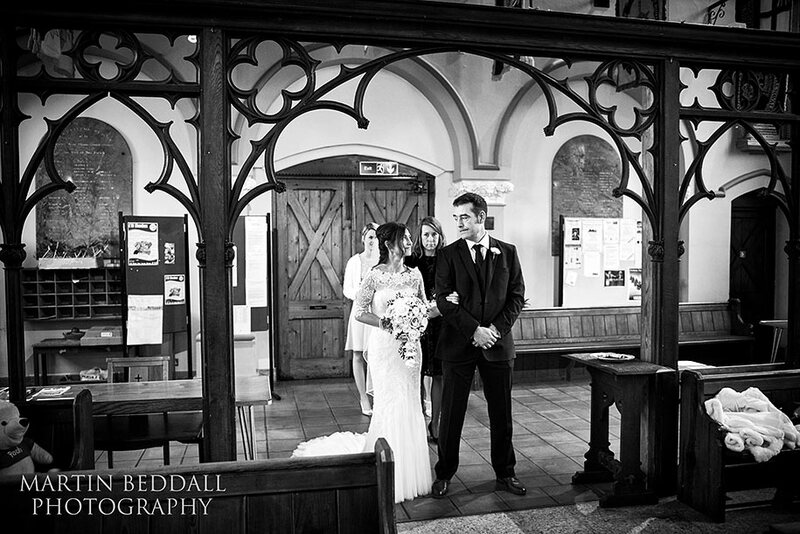 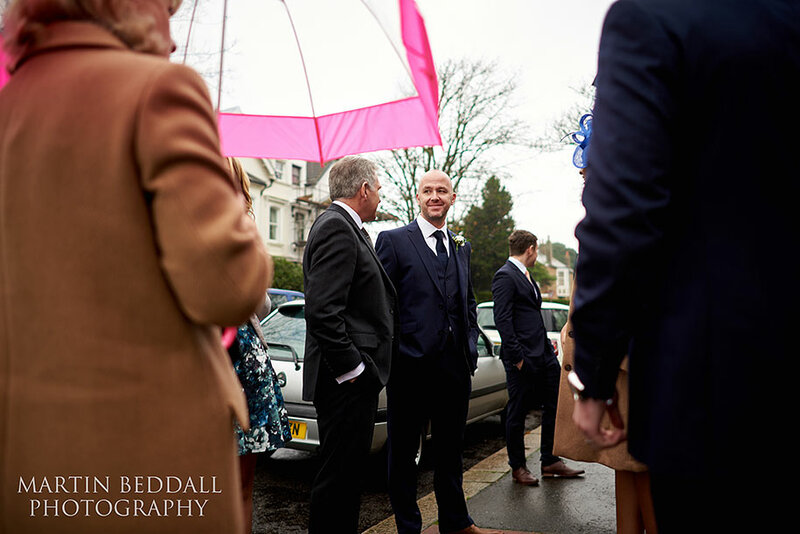 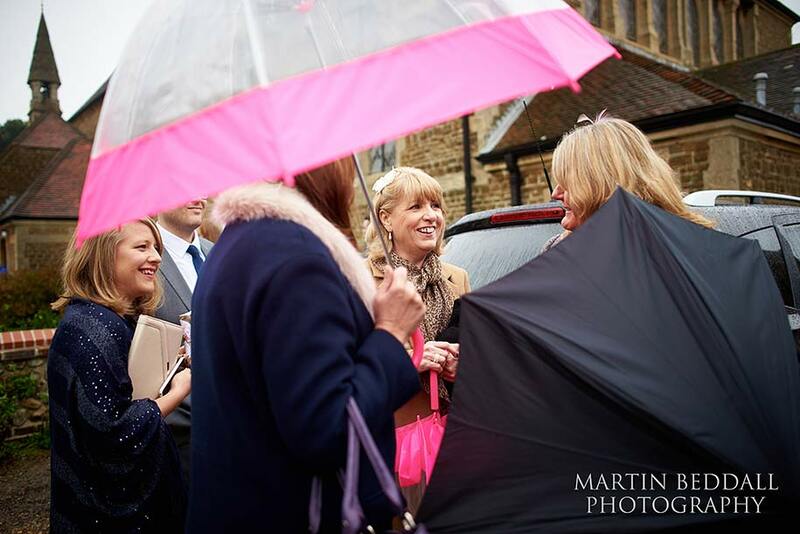 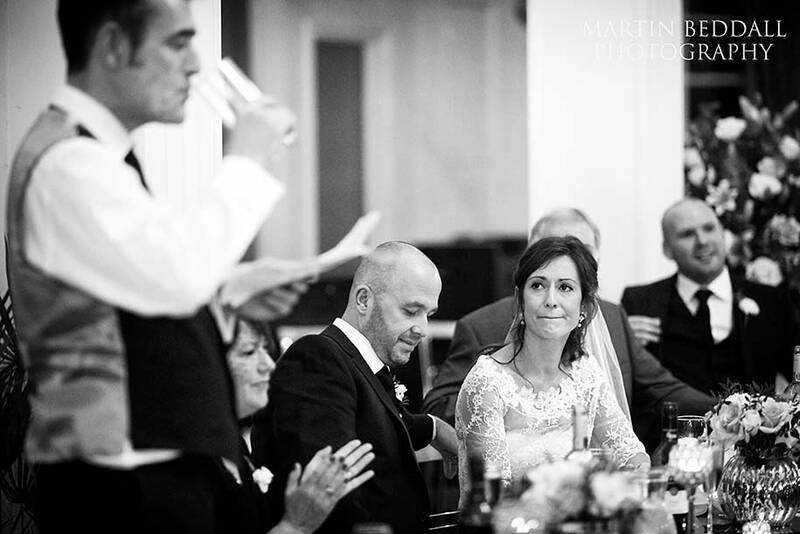 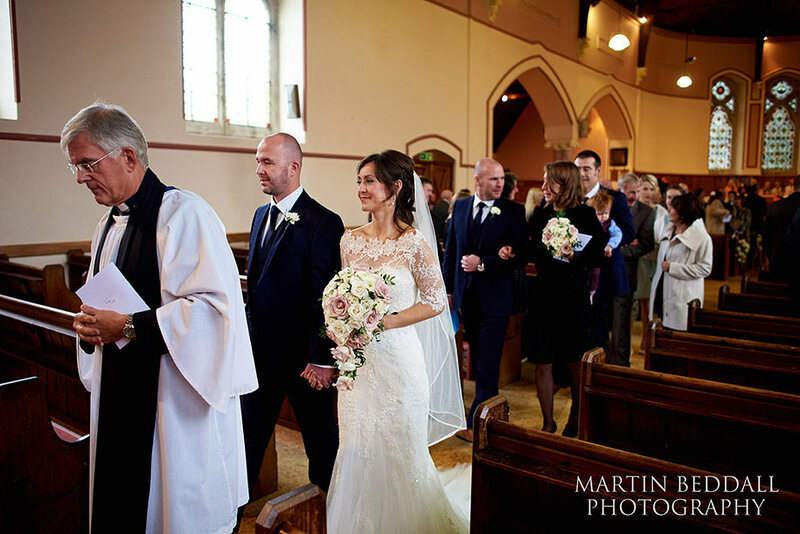 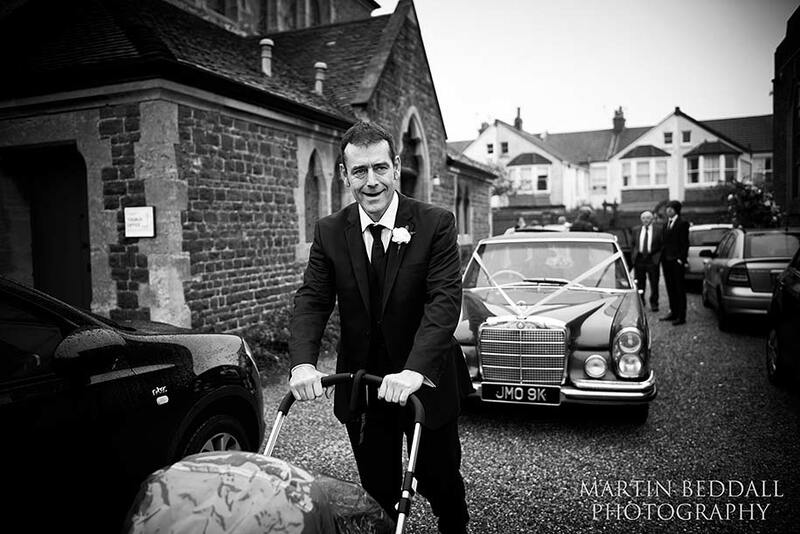 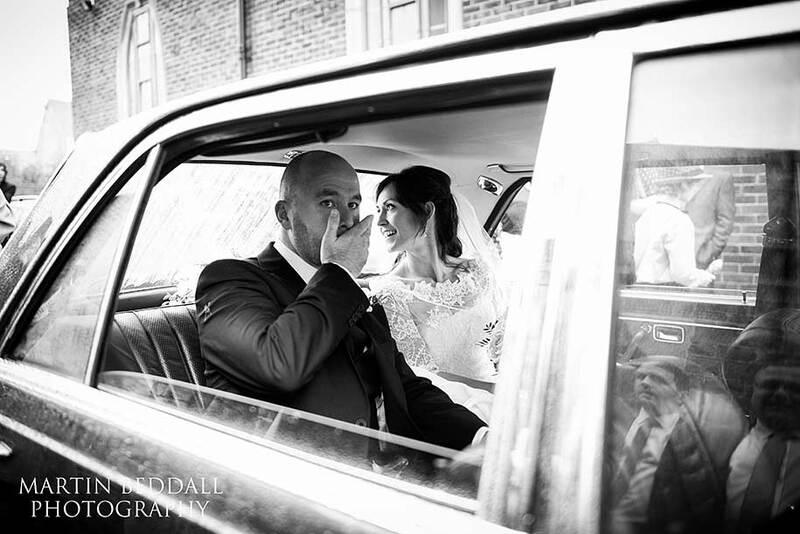 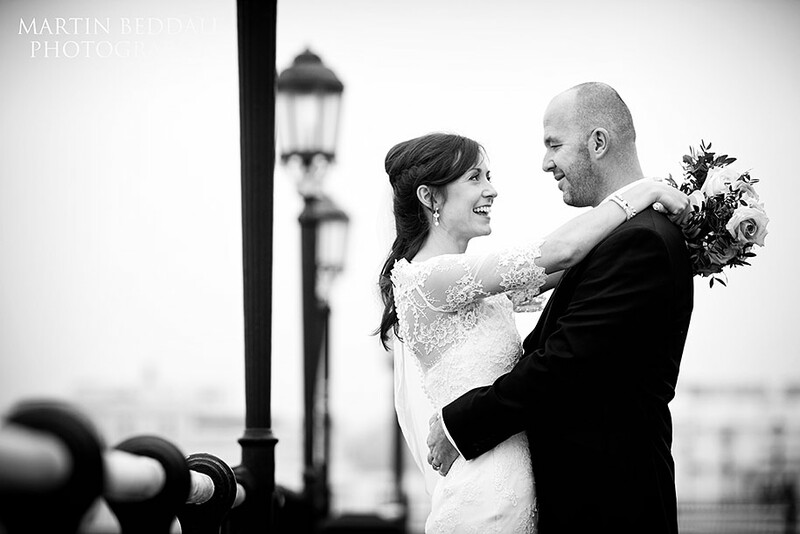 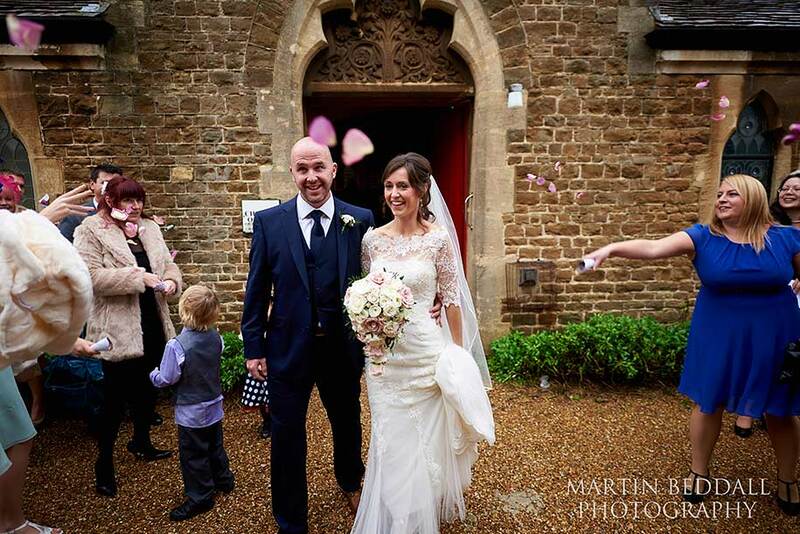 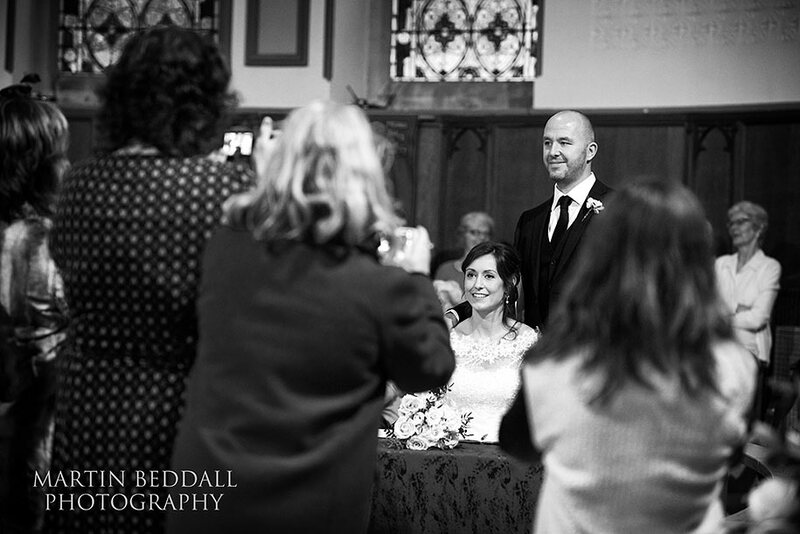 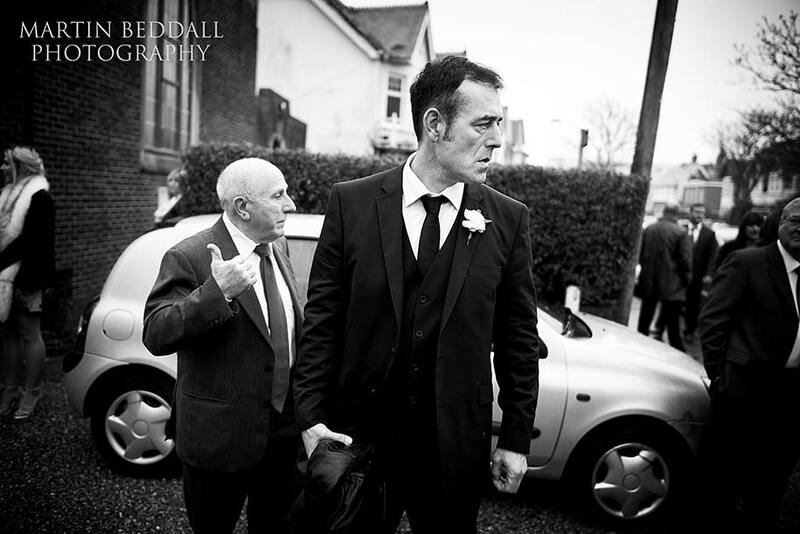 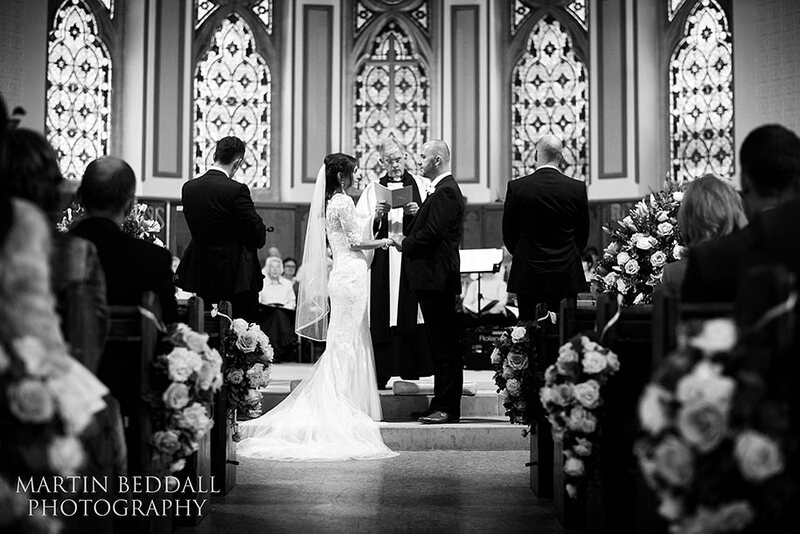 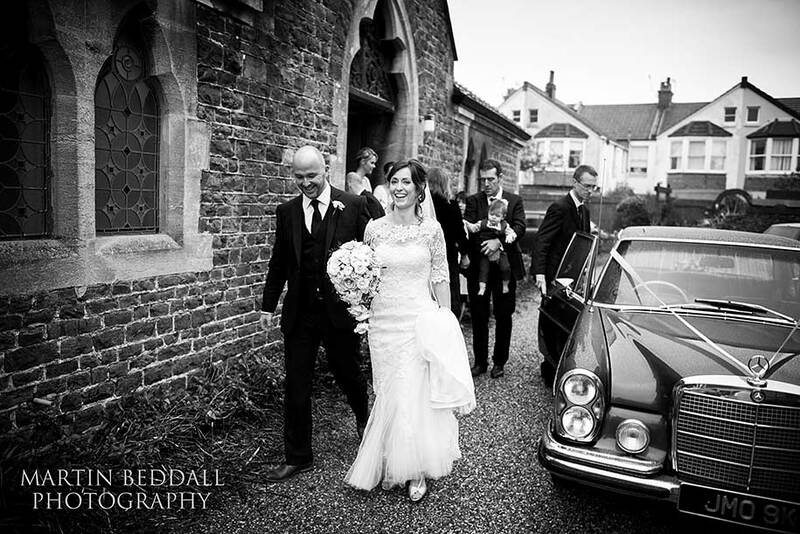 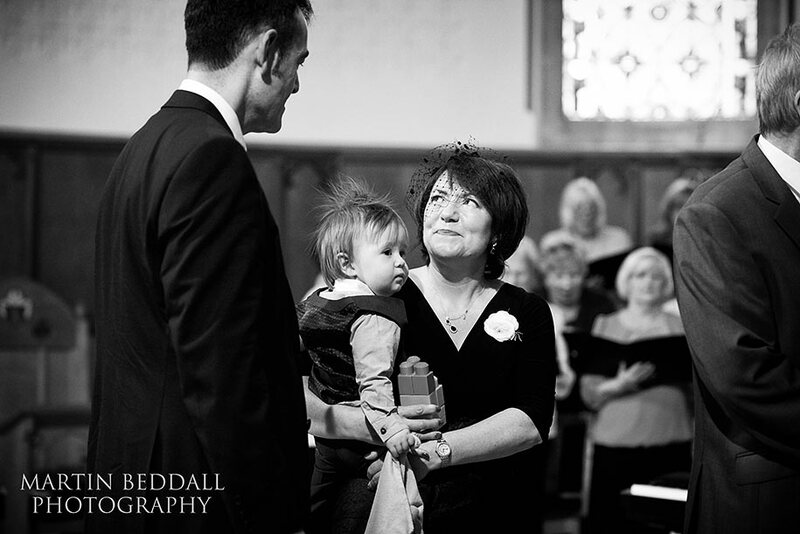 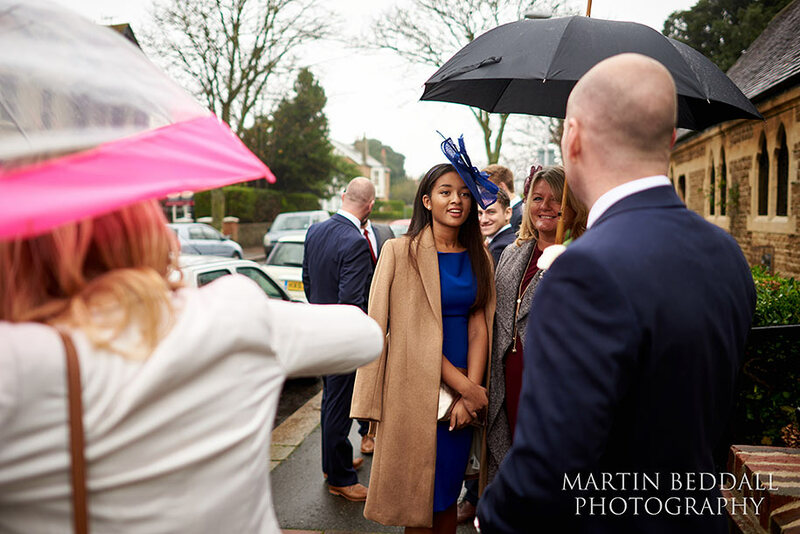 Being a November wedding, there was always the probability that the weather would not be kind – it wasn’t. 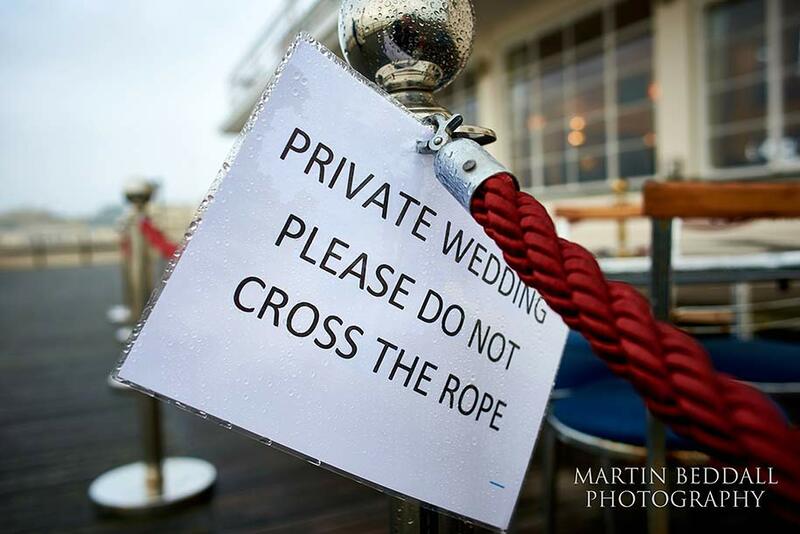 But this couple and their guests just shrugged that off. 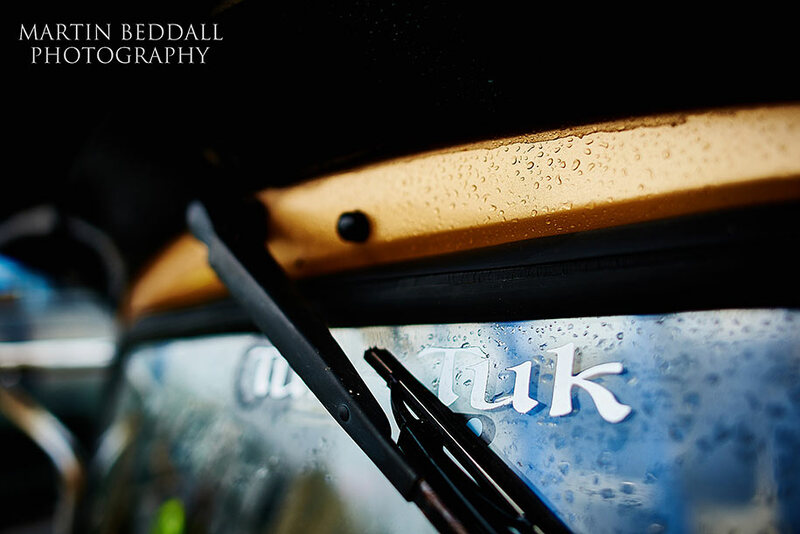 Despite it being a dark, dank, damp sort of day. 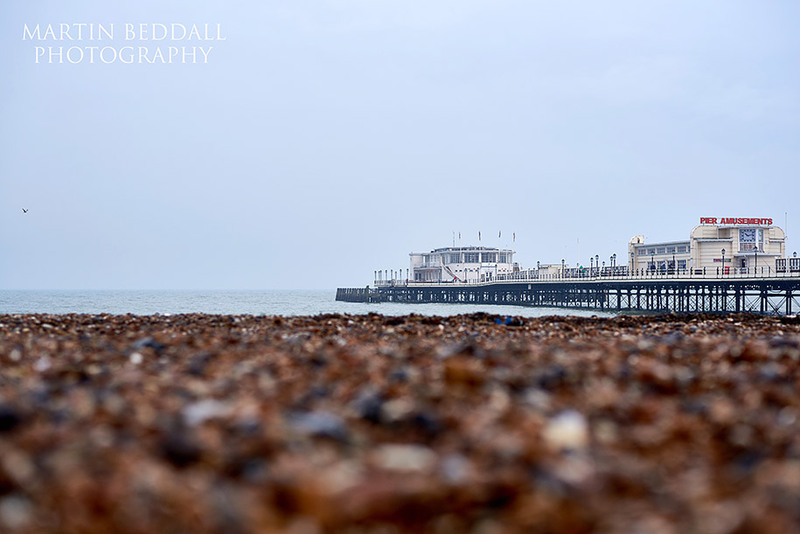 A grey weather day. 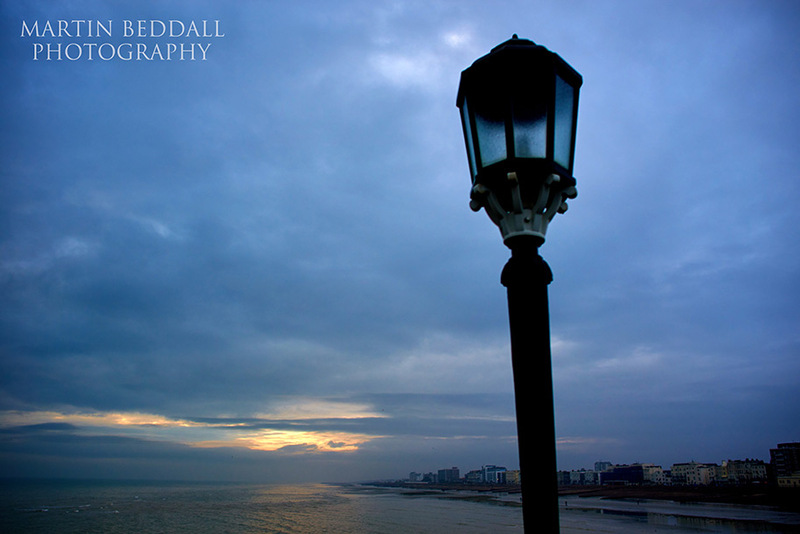 When even the horizon had seamlessly merged between the slate grey sea and sky. 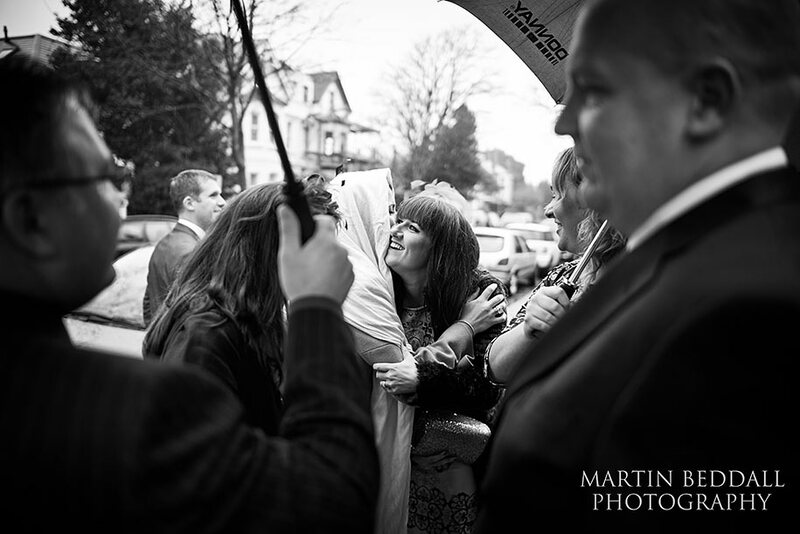 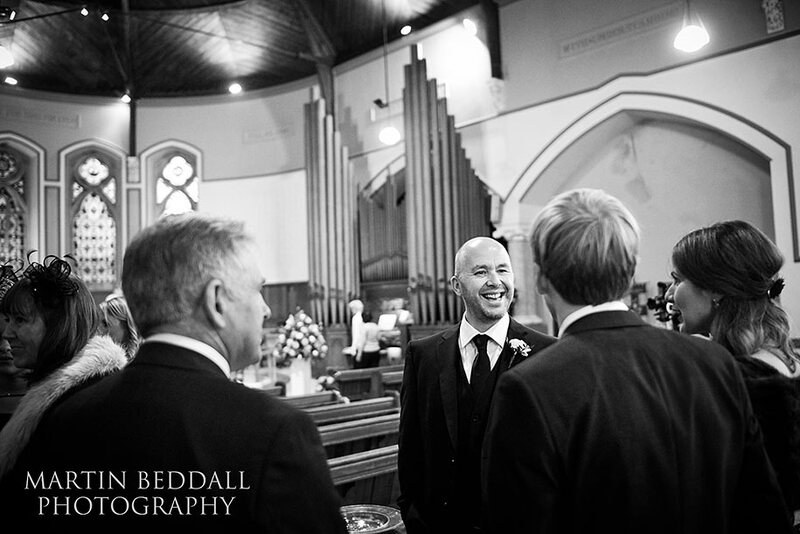 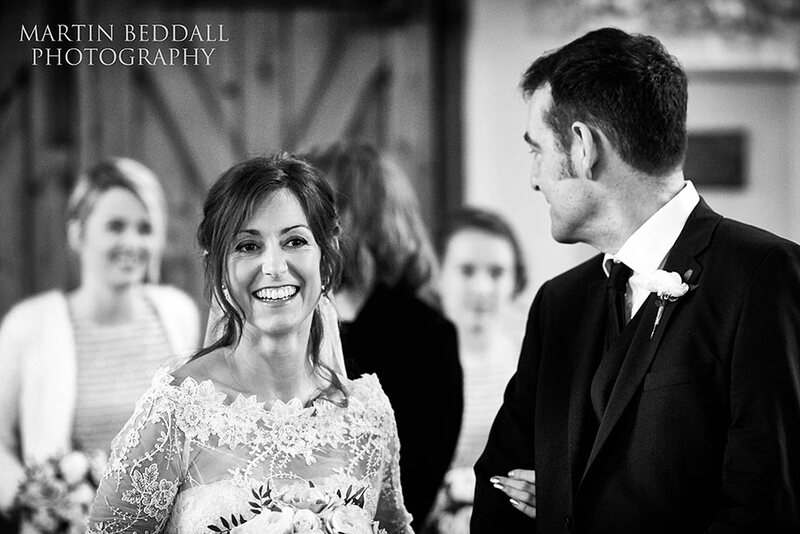 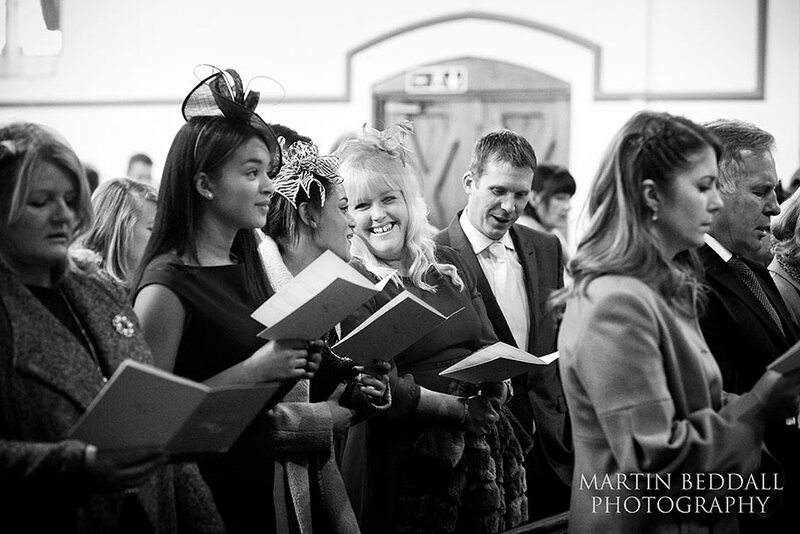 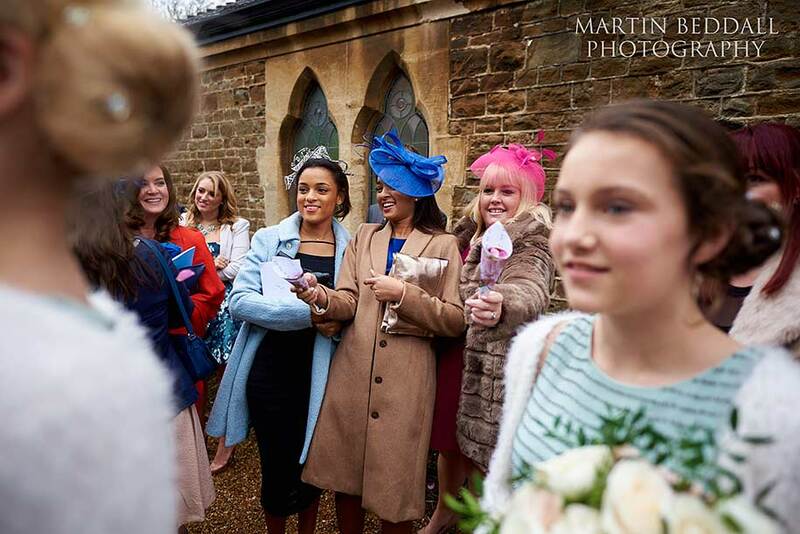 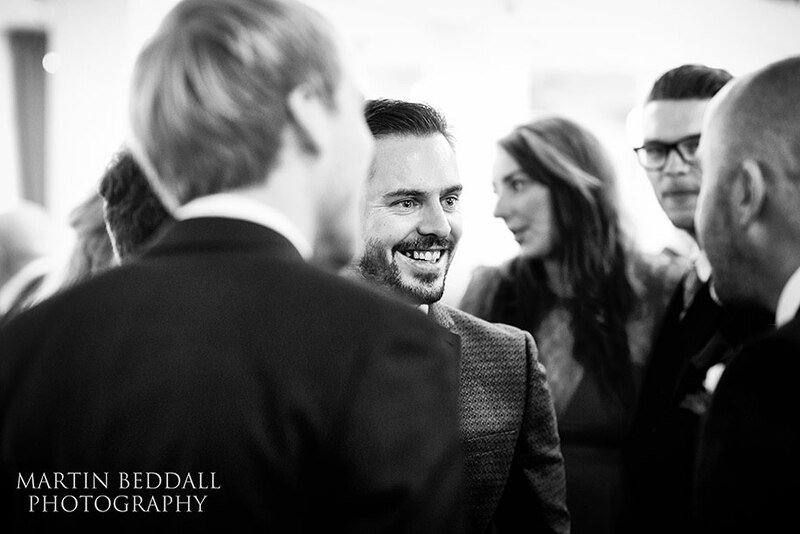 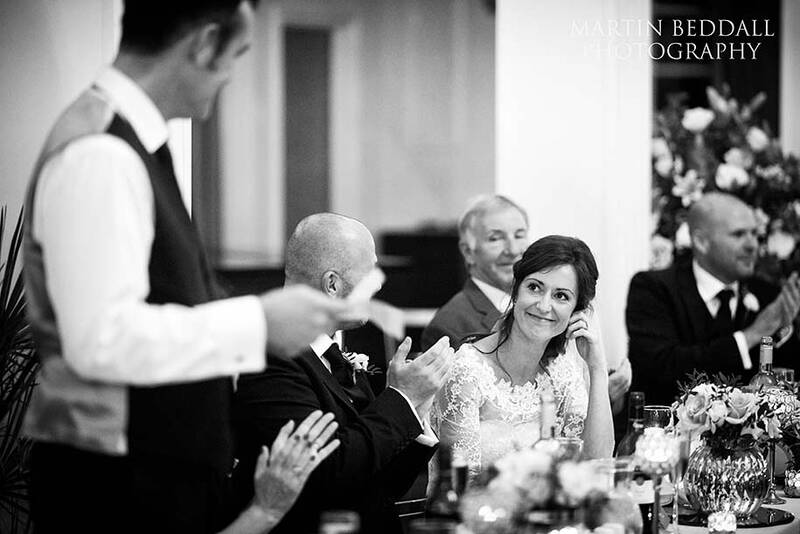 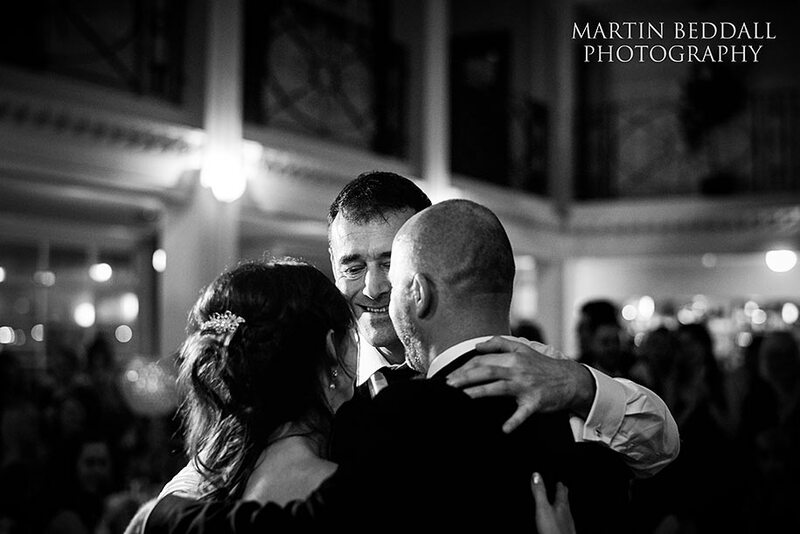 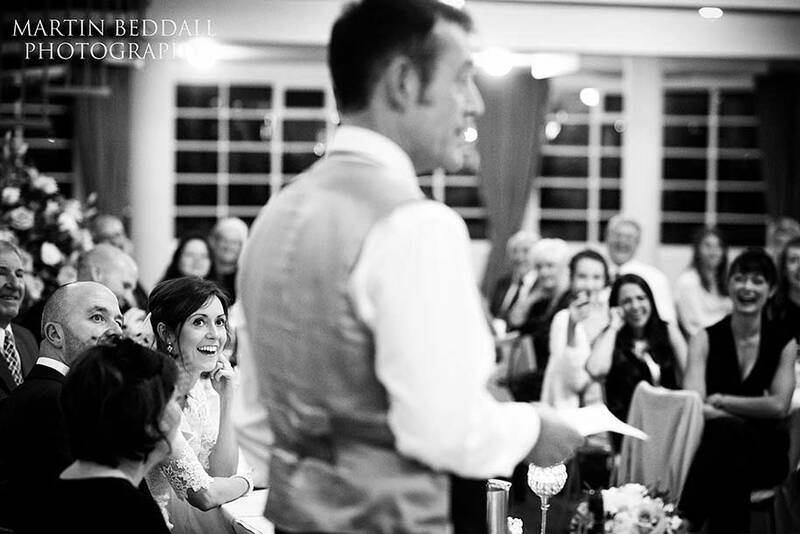 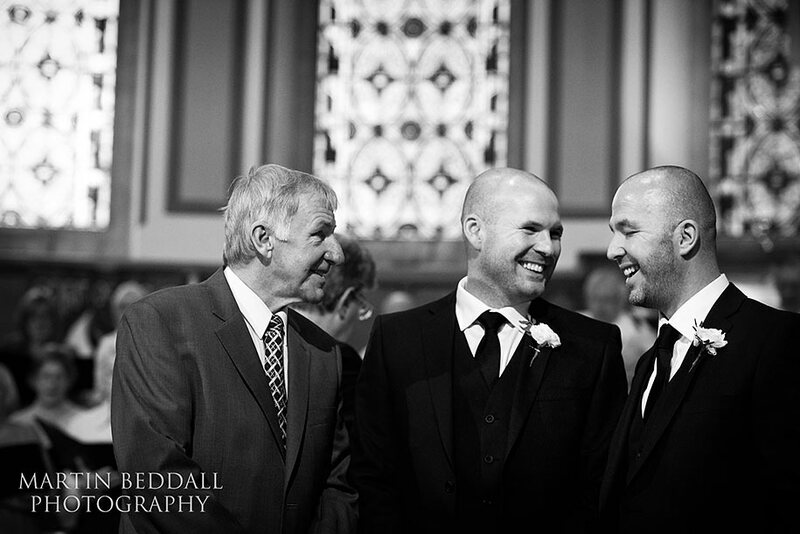 Despite all this, the wedding was full of warmth and smiles. 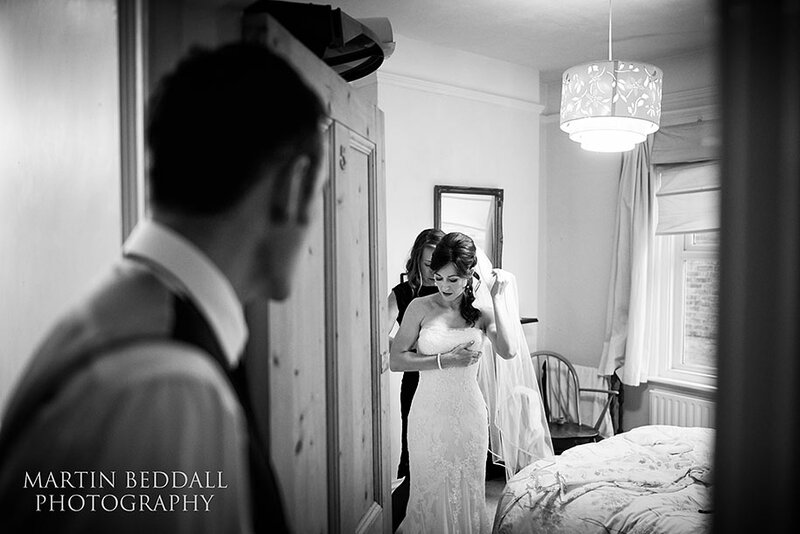 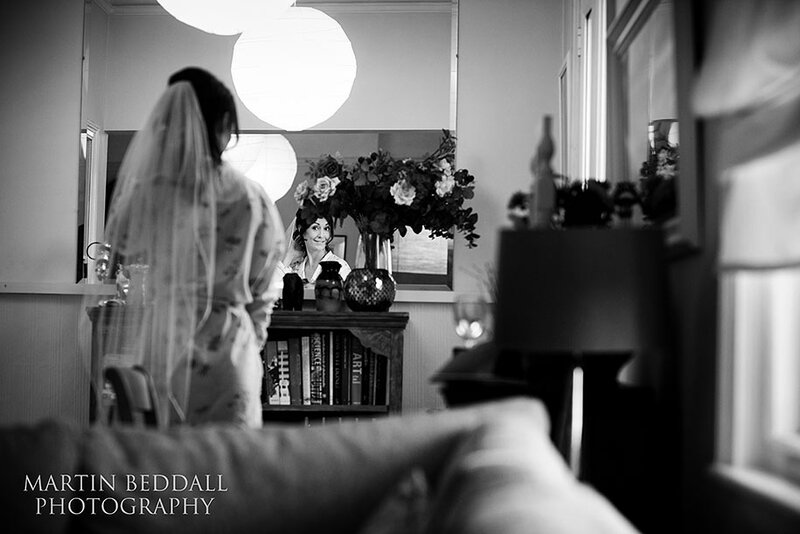 It began just up the road, where Sarah got ready. 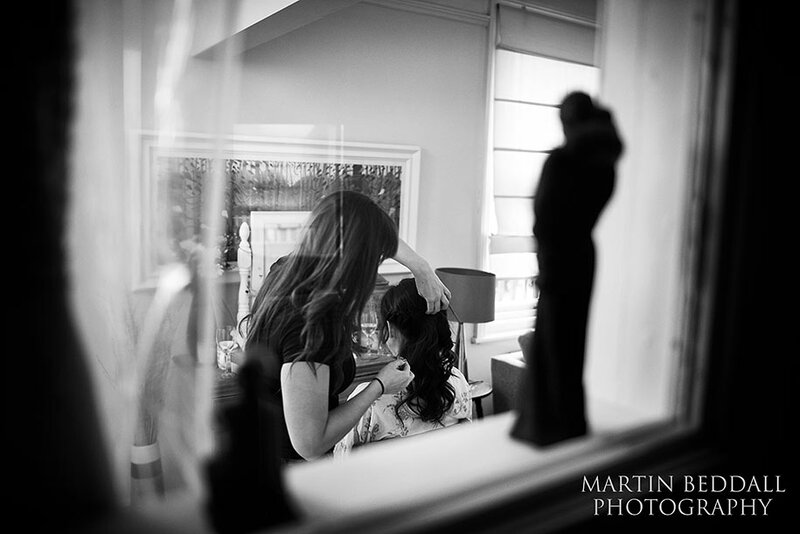 A friend was on hand to help with her hair. 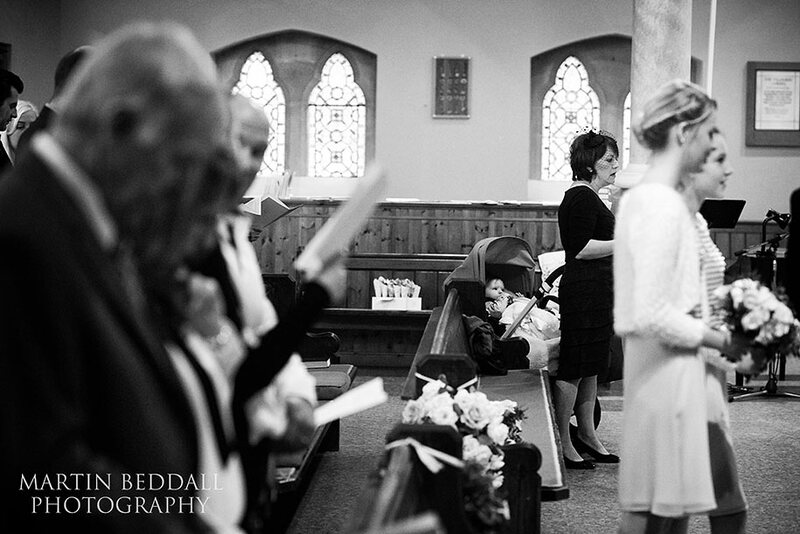 Her sisters and Nathan’s daughter as bridesmaids as well and their young son, Dylan, being perfectly behaved, by being asleep as this all happened. 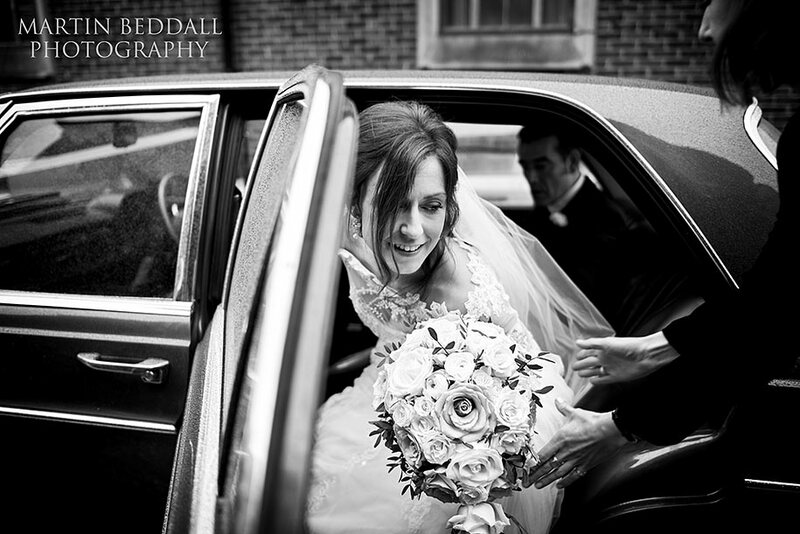 A short hop away to St George’s church, where Nathan was waiting in the drizzle. 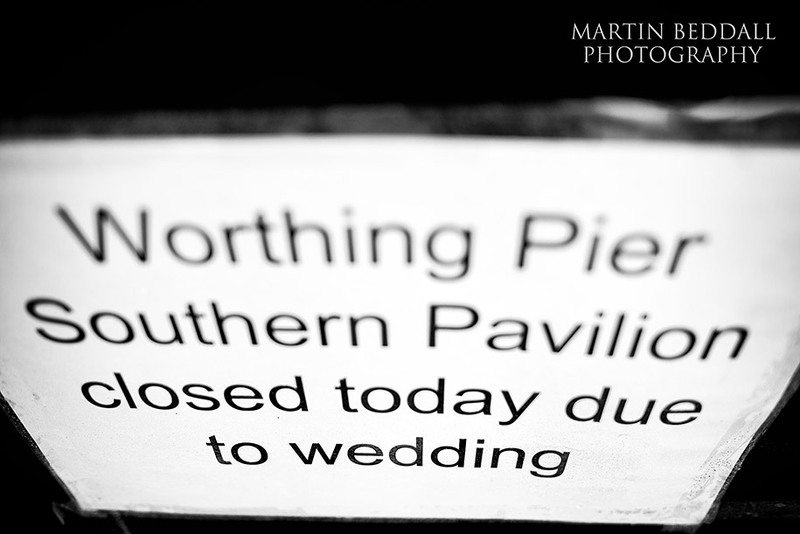 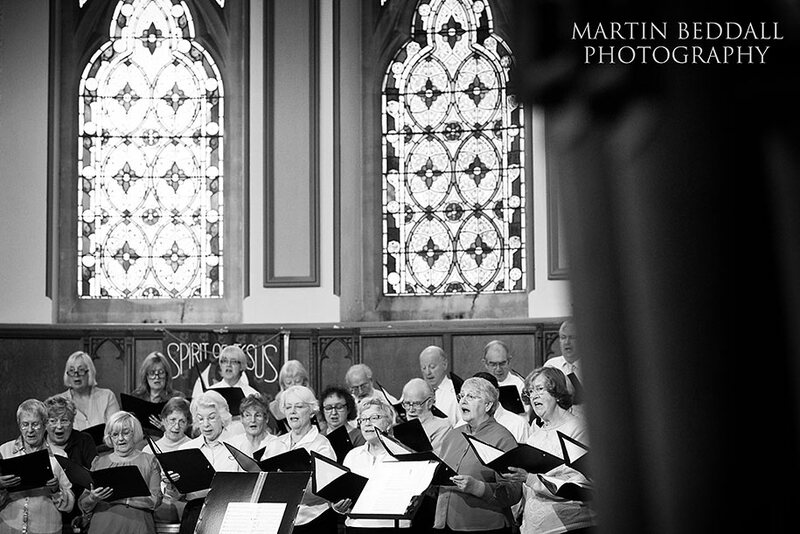 Ready for the wedding ceremony, with a choir that seemed to have half of Worthing’s population in it. 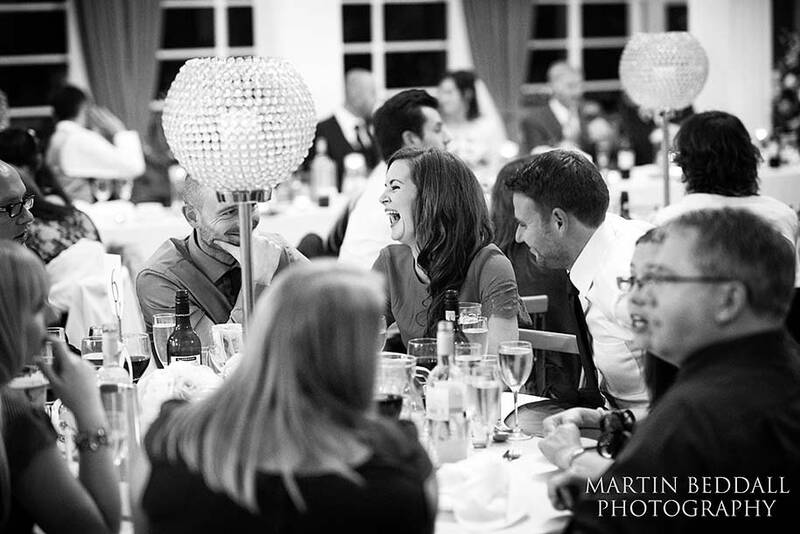 After the meal the speeches touched all the bases – corny jokes, laughter, tears, memories, even some poignant history thrown in. 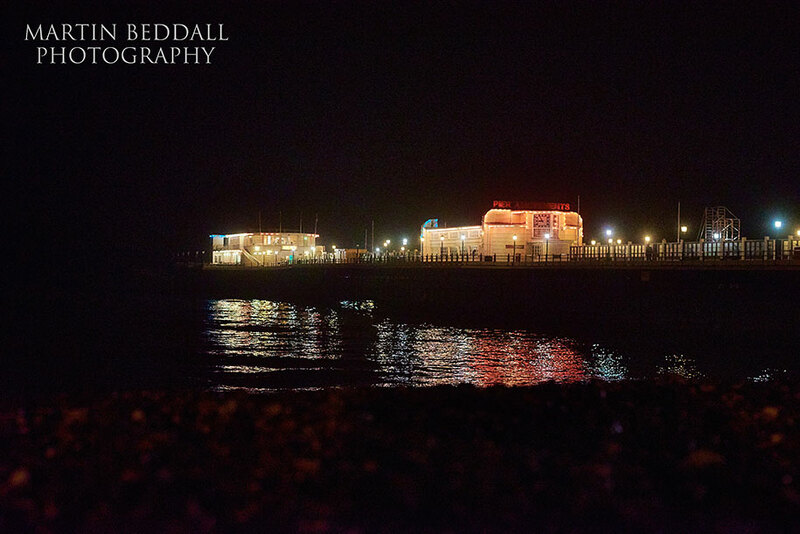 The pavilion then (partially) became a nightclub again as the music started ( Dylan by now was asleep at home).